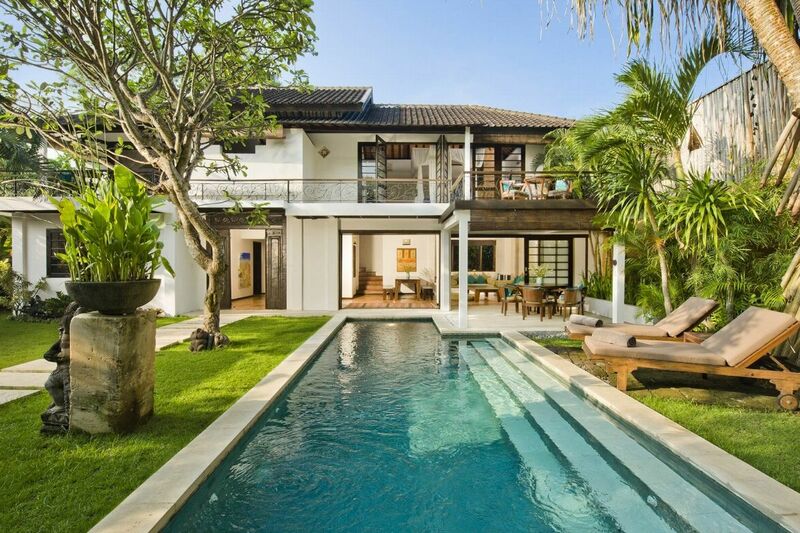 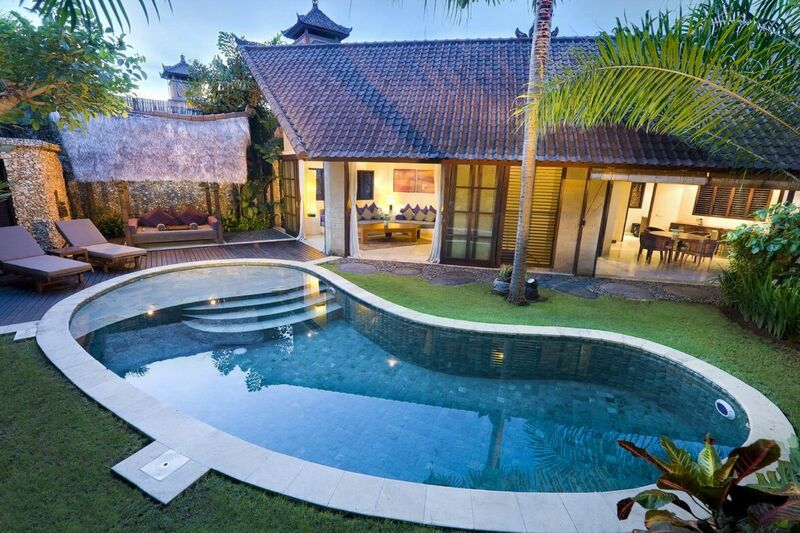 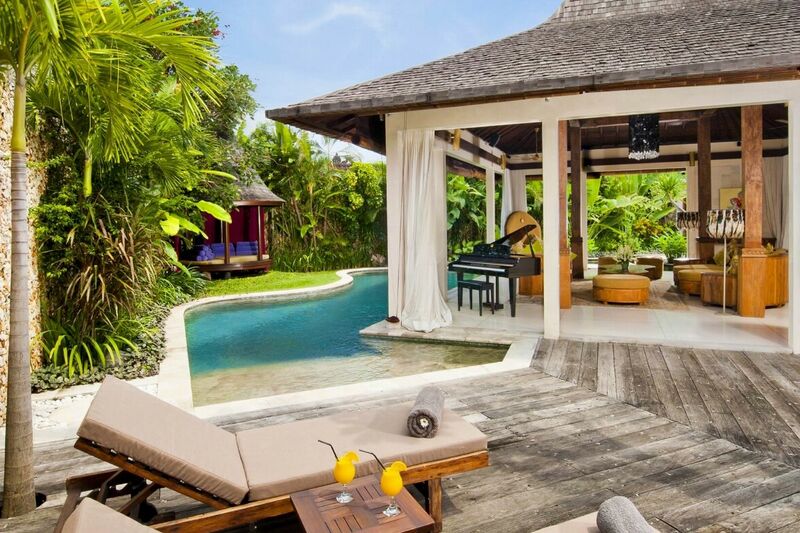 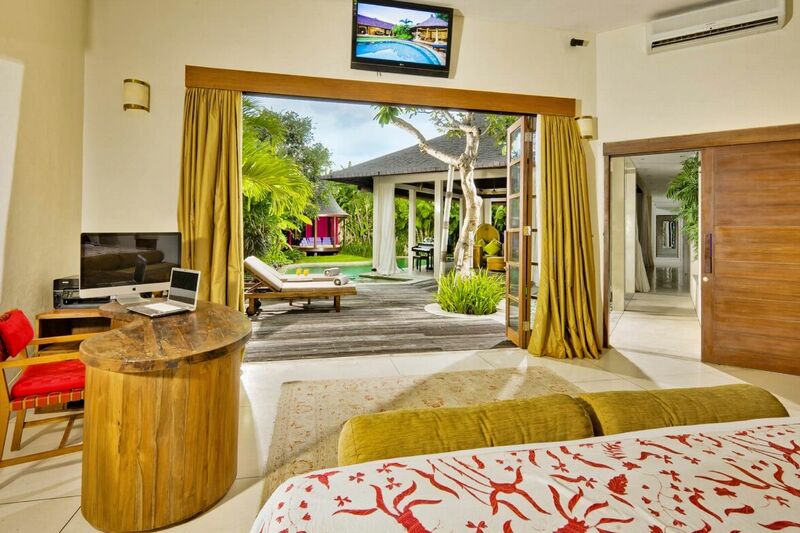 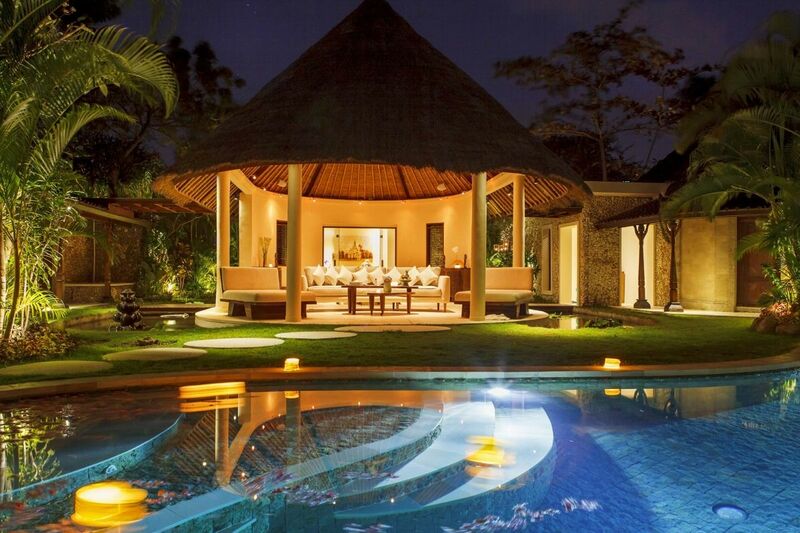 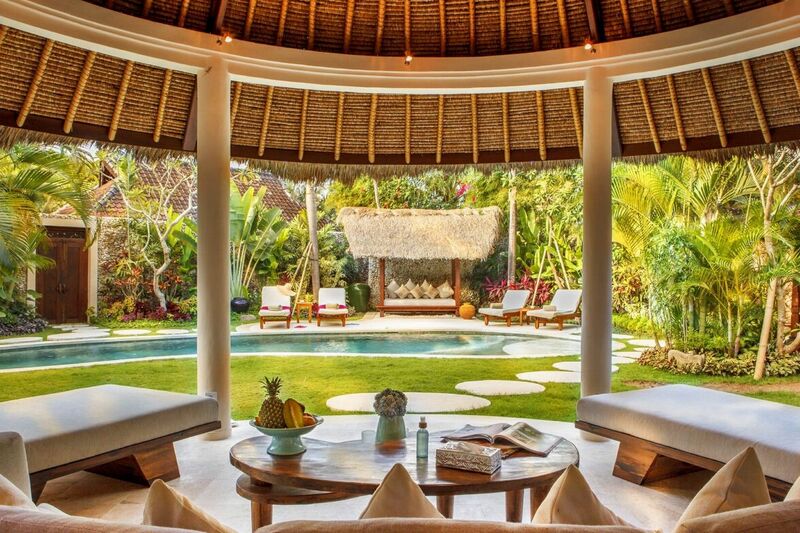 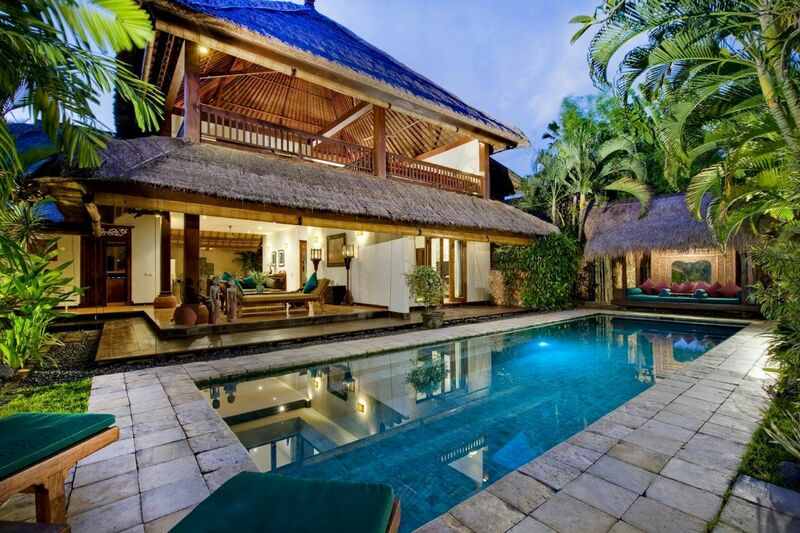 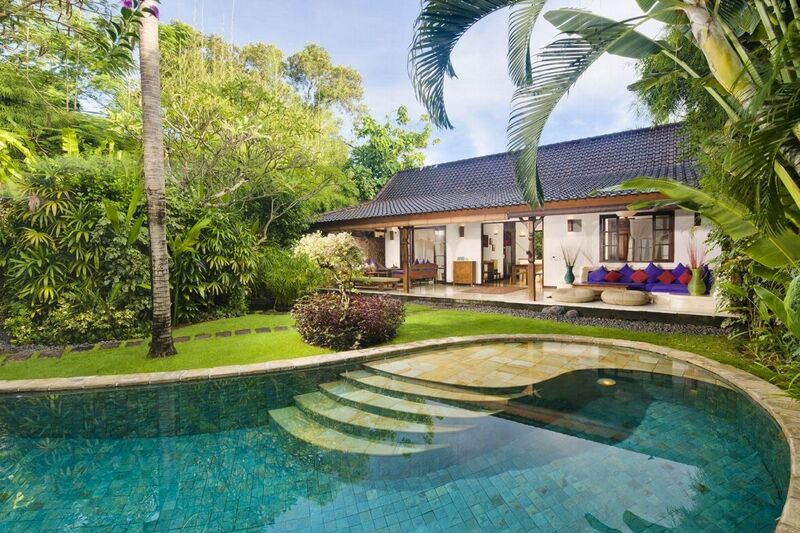 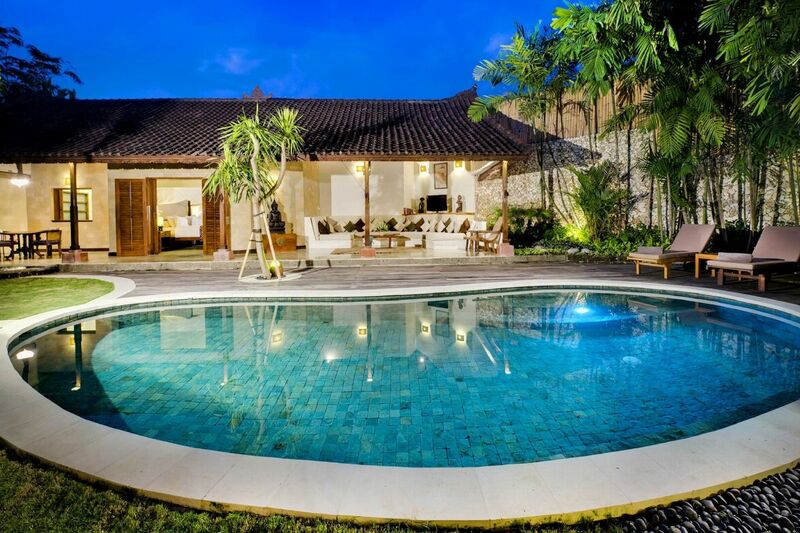 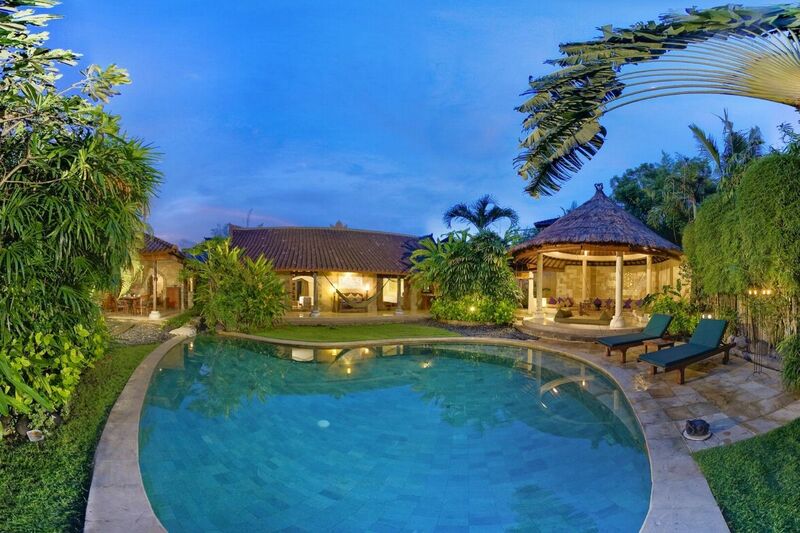 Villa Kubu is the best of both worlds combining both a private sanctuary situated in lush garden settings and instant access to high octane, party central Seminyak. 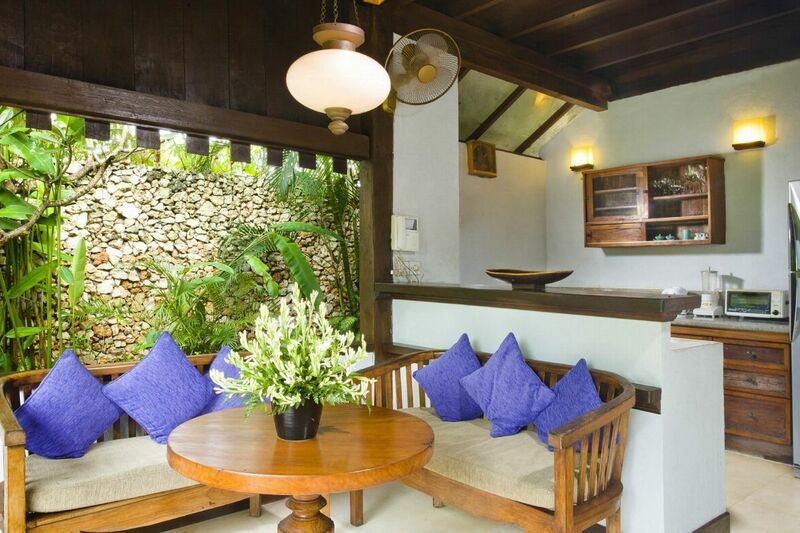 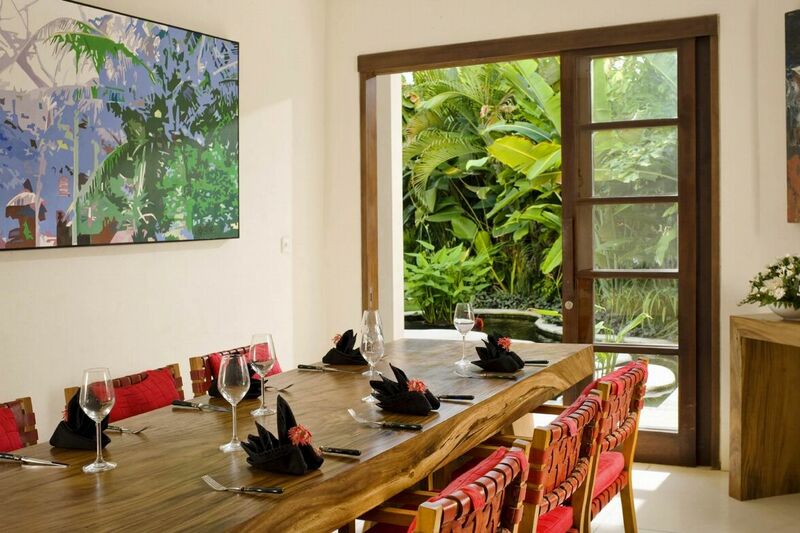 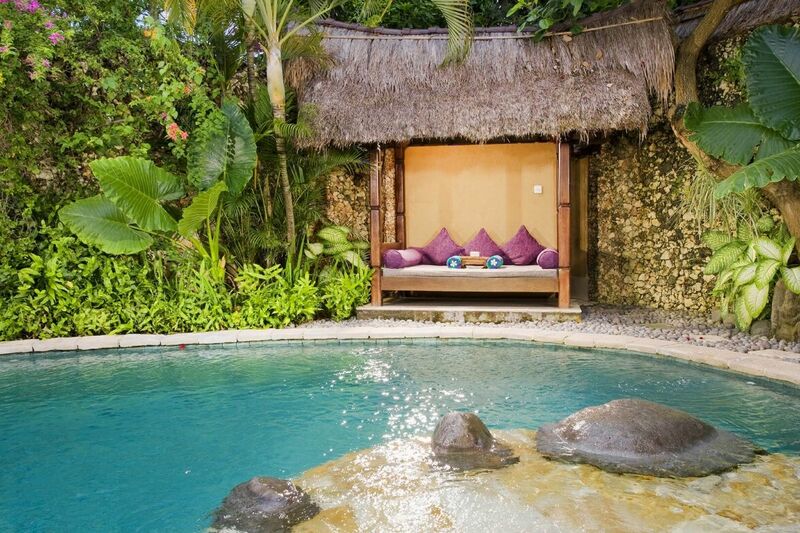 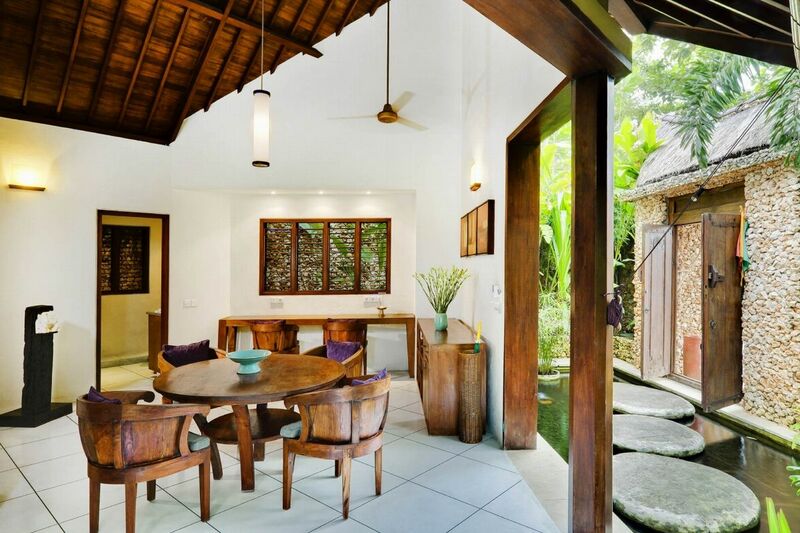 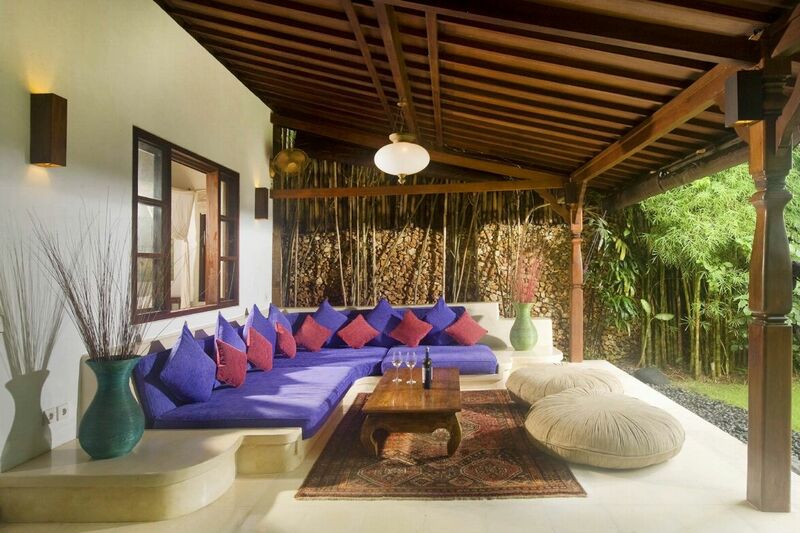 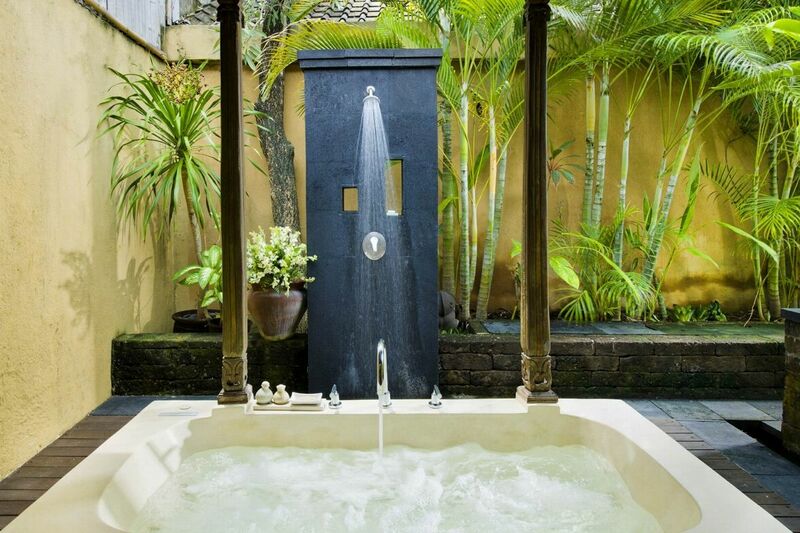 Villa Kubu is located in the heart of Seminyak, Bali’s vibrant district that is a labyrinth of eclectic restaurants, fashion boutiques, antique and lifestyle stores. 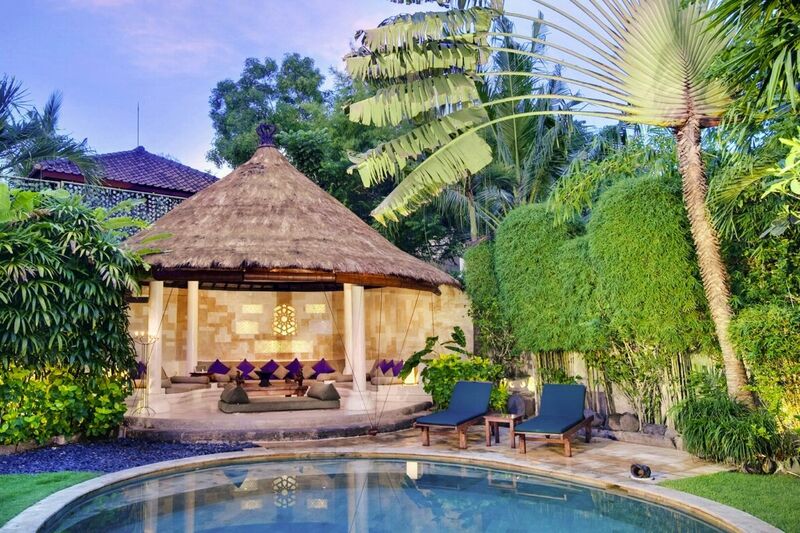 Just a short walk away are some of Bali’s most popular beaches, home to the hippest nightclubs and bars, and where the sunsets are legendary. 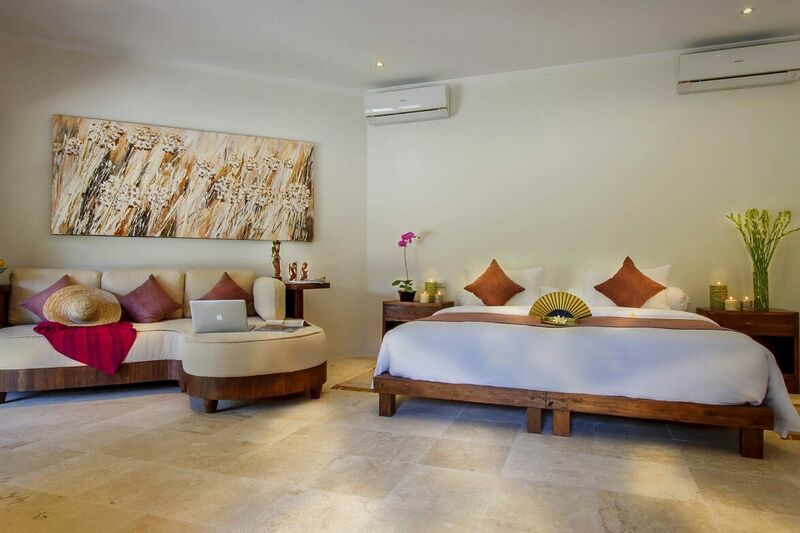 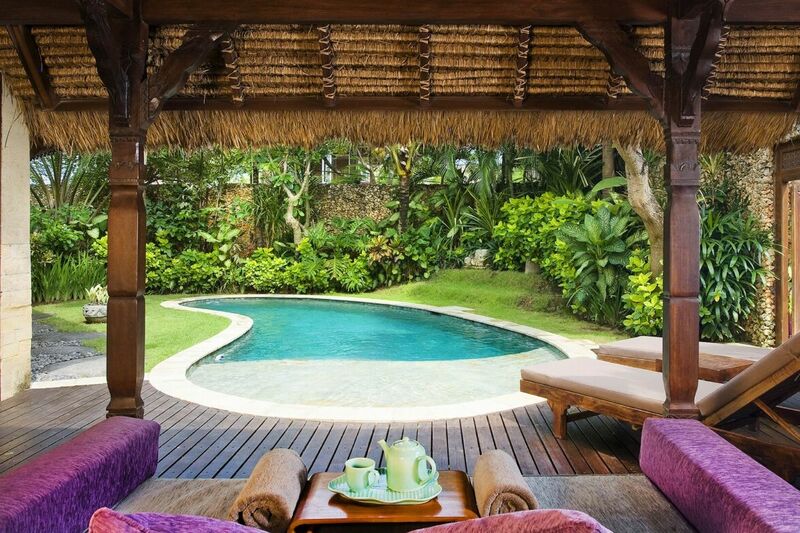 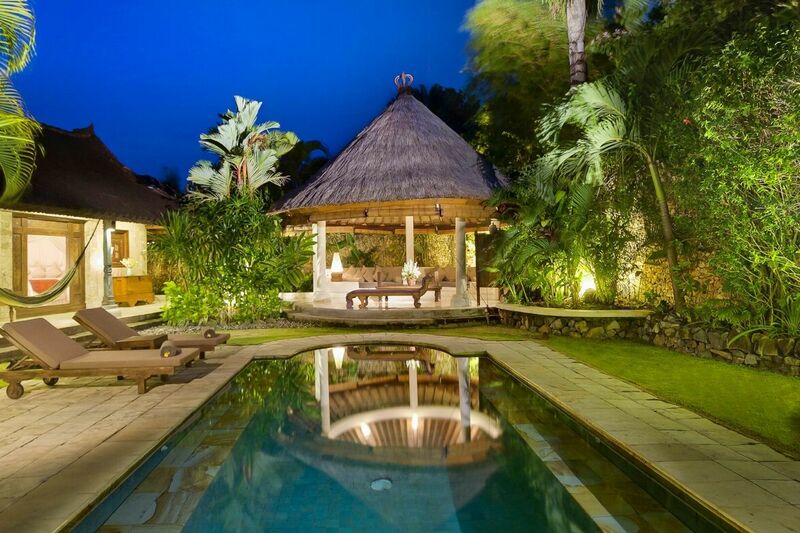 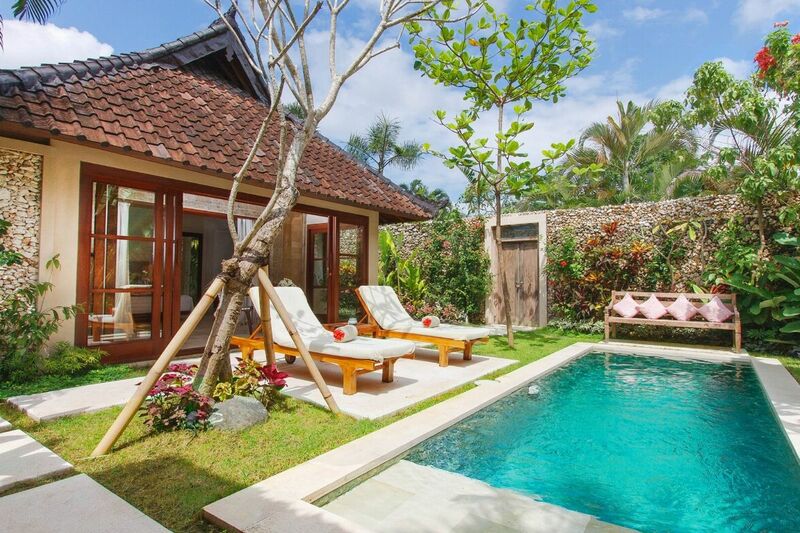 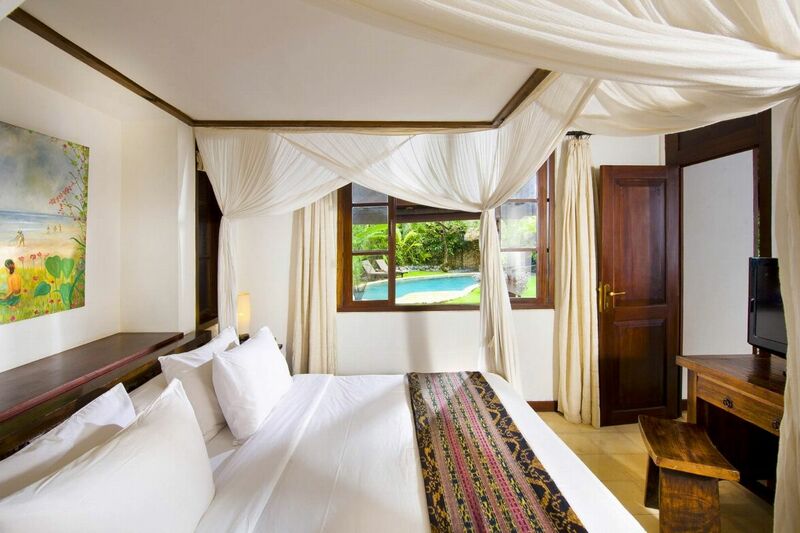 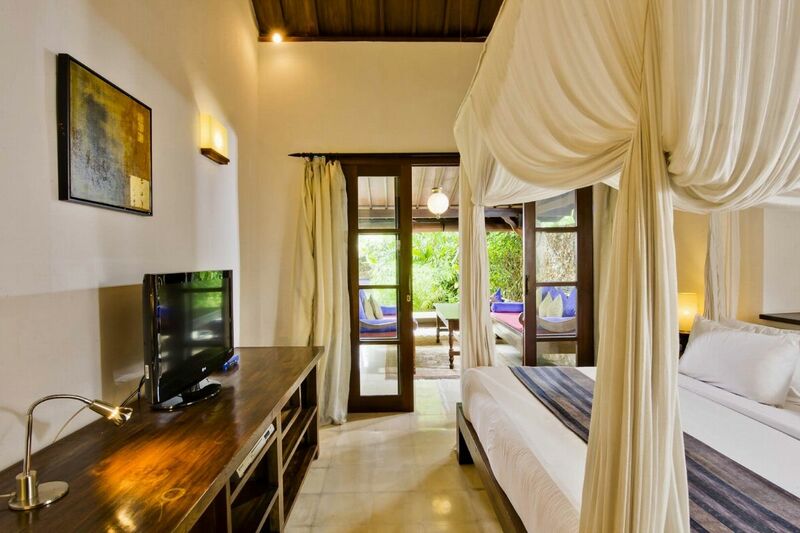 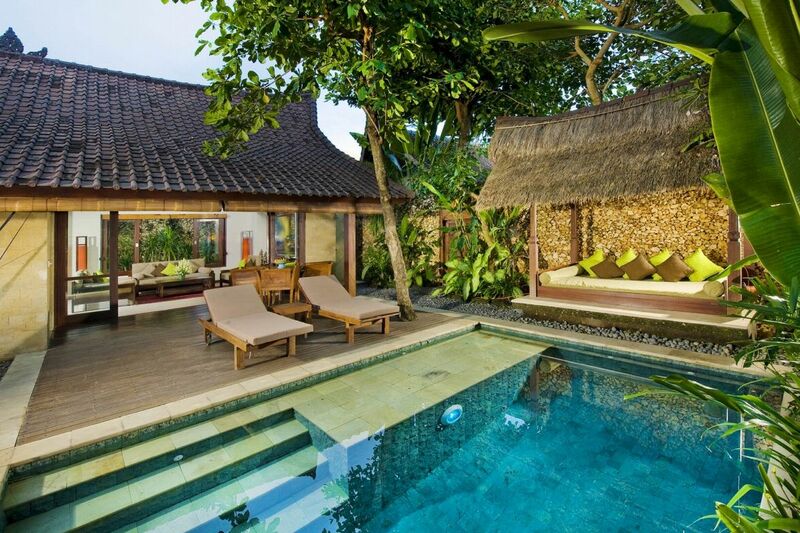 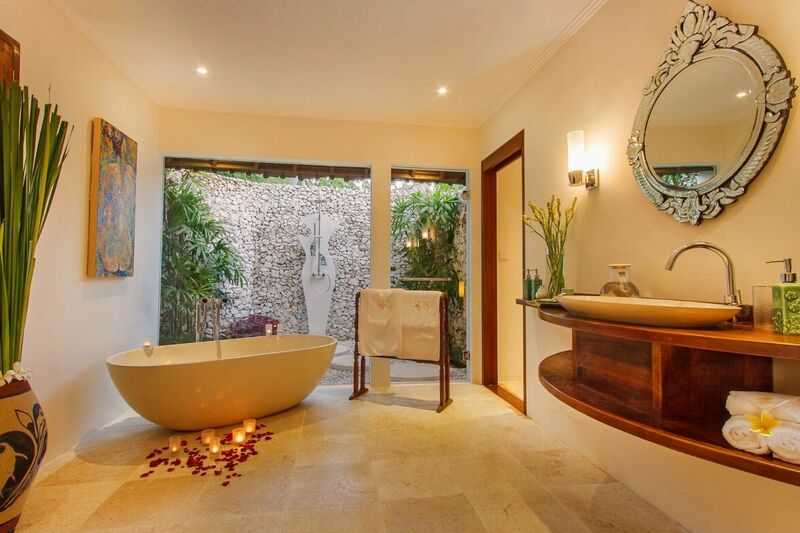 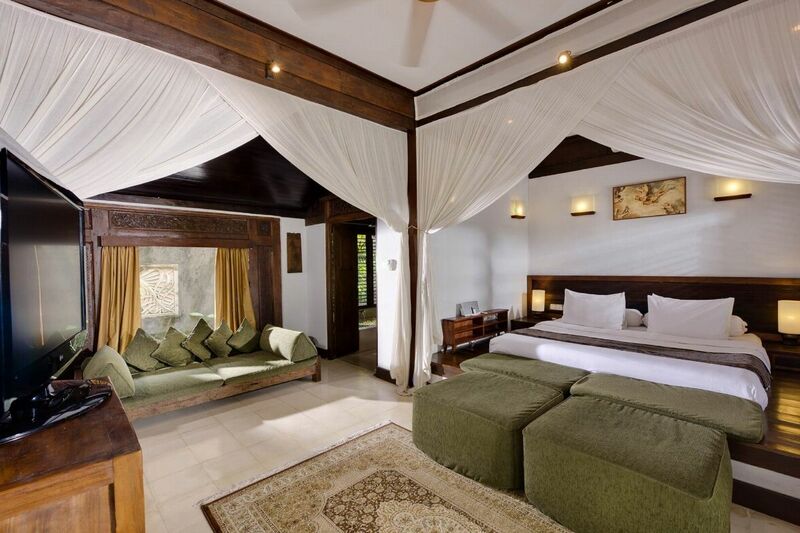 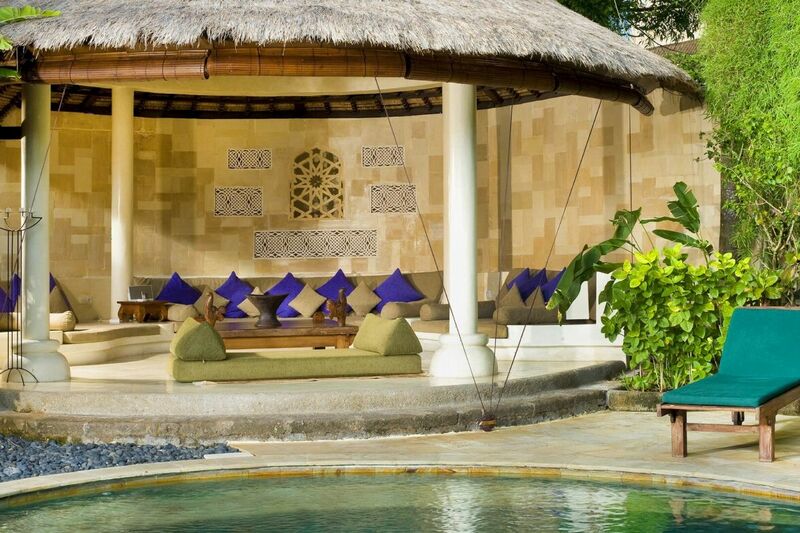 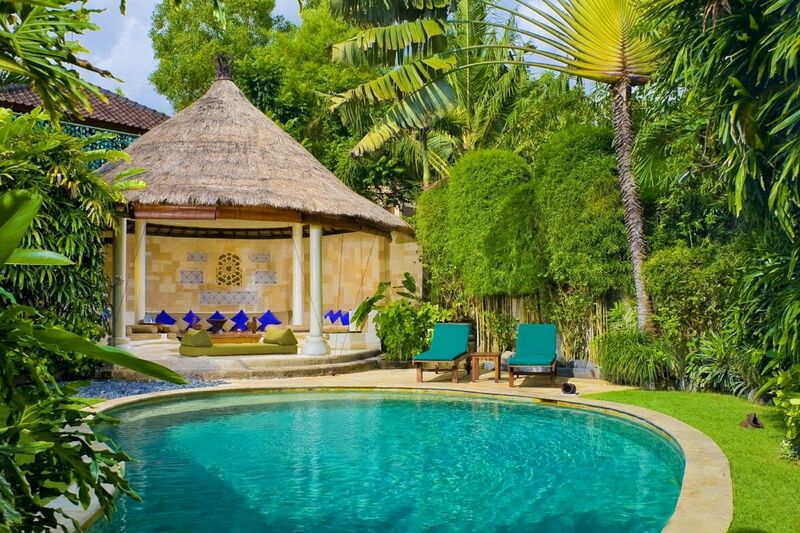 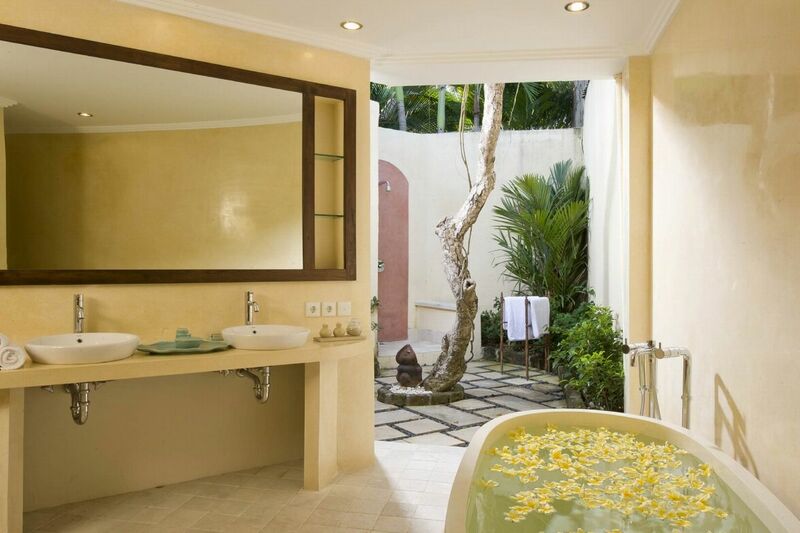 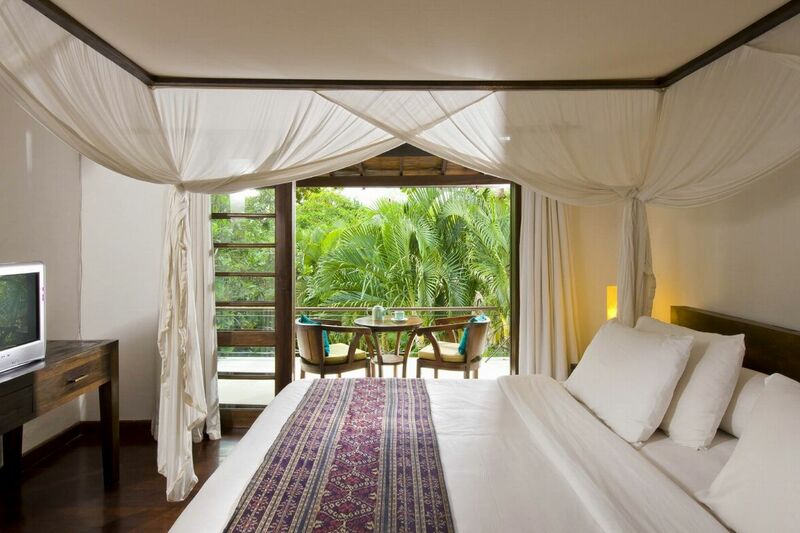 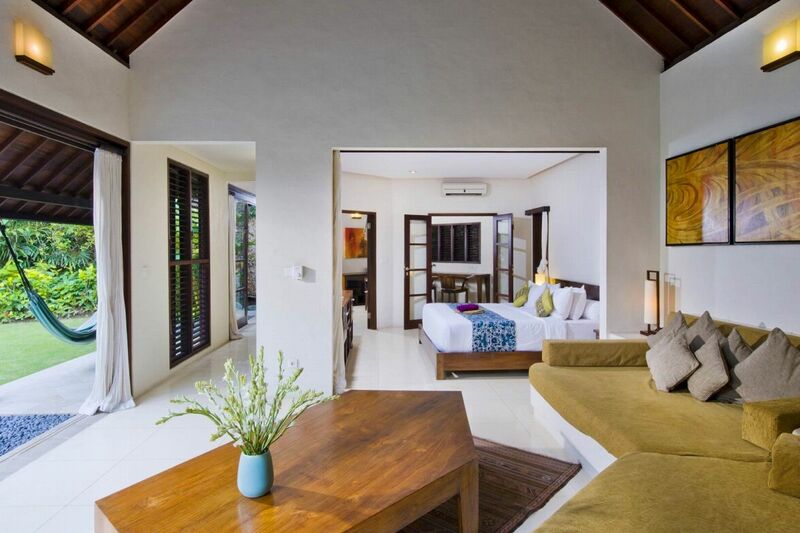 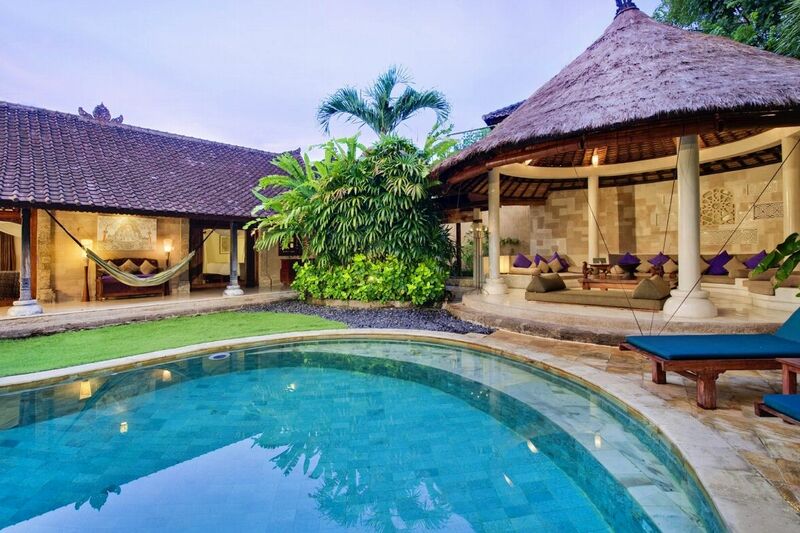 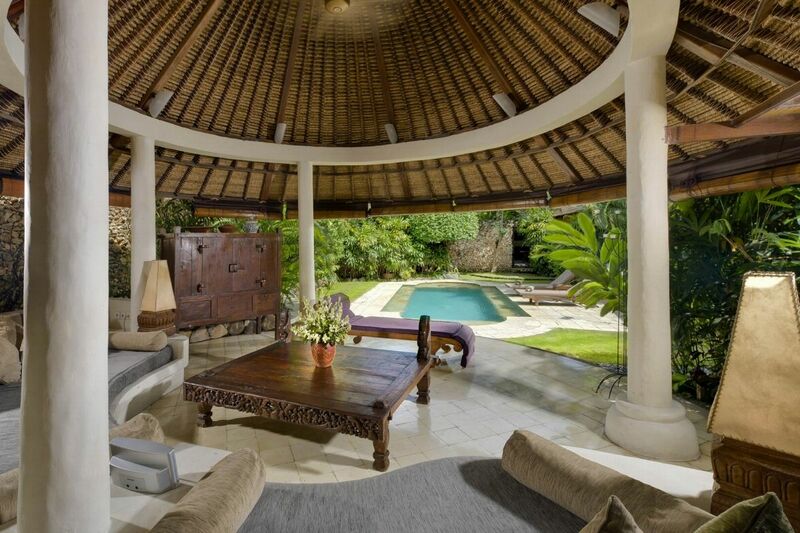 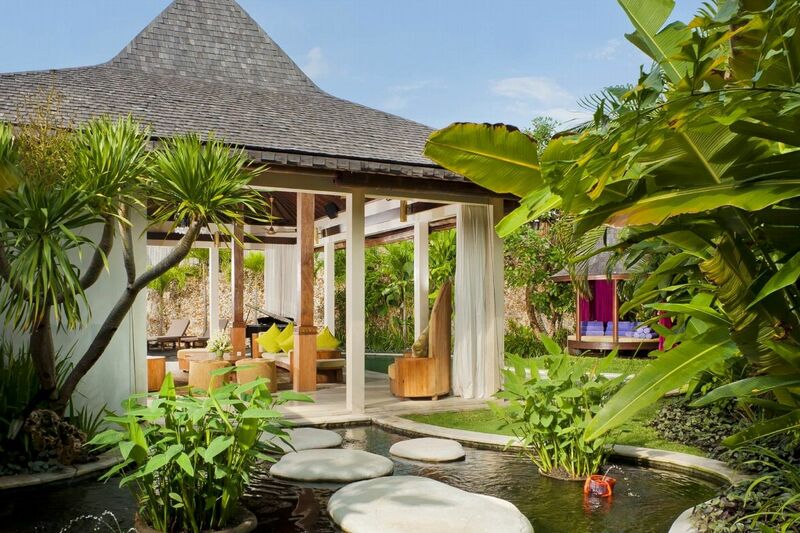 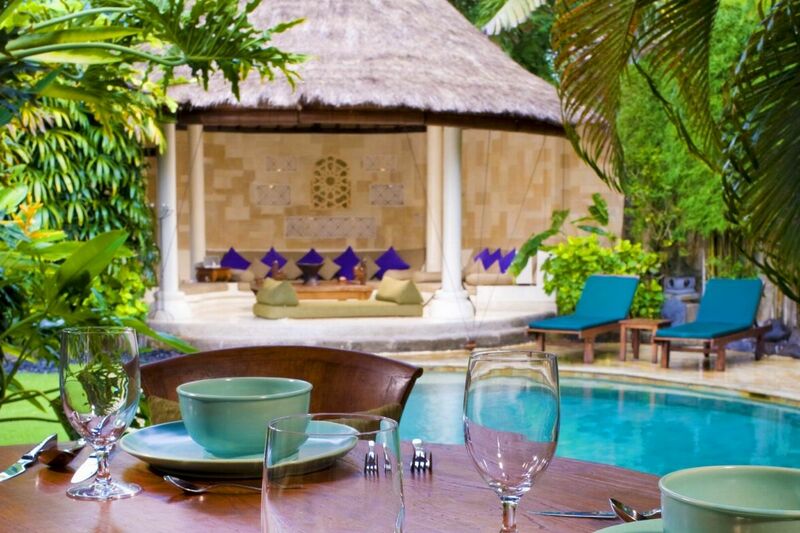 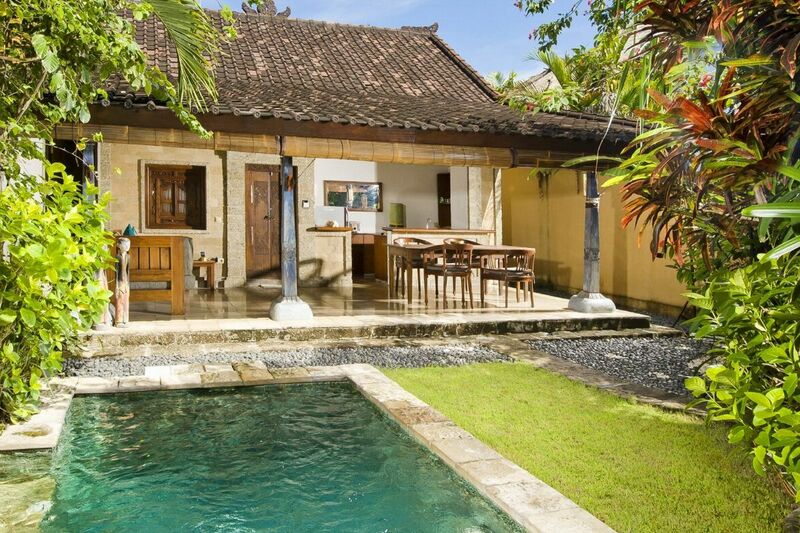 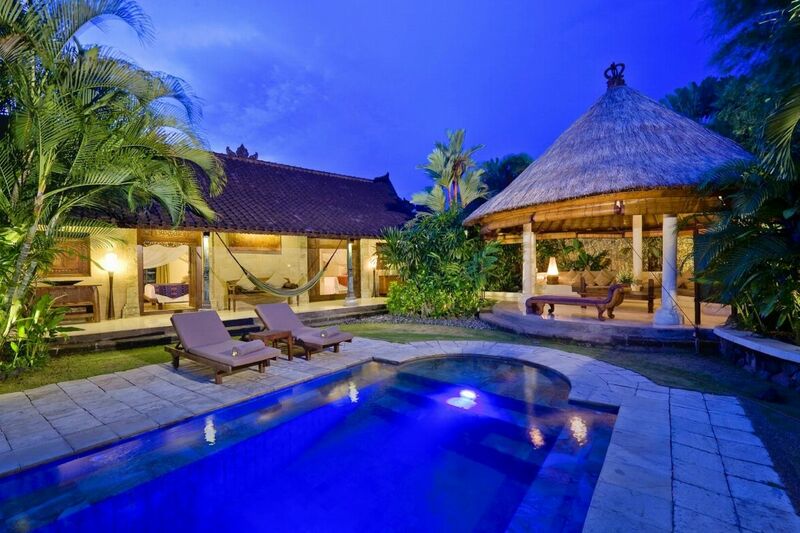 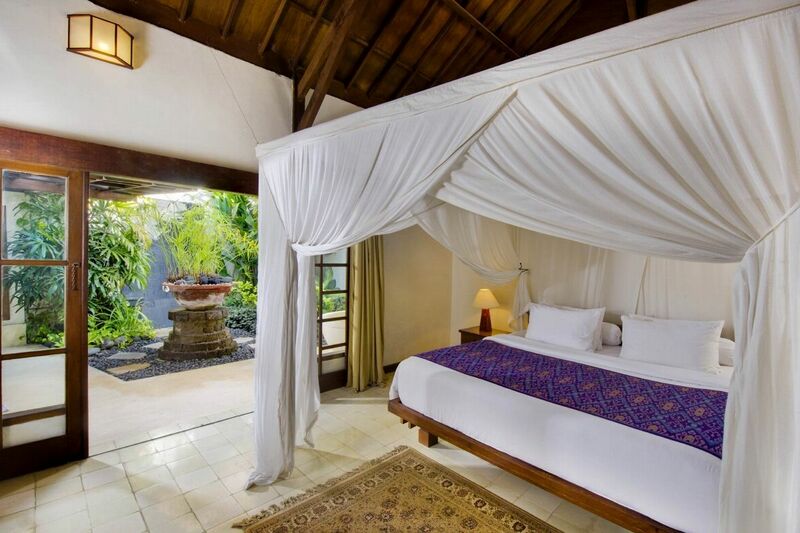 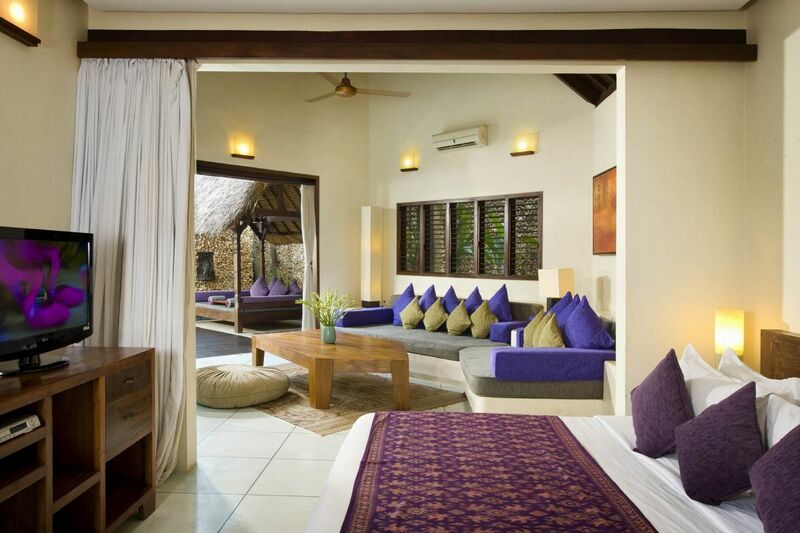 Villa Kubu is a collection of 15 very private one-, two- and three- bedroom villas each immaculately and individually styled. 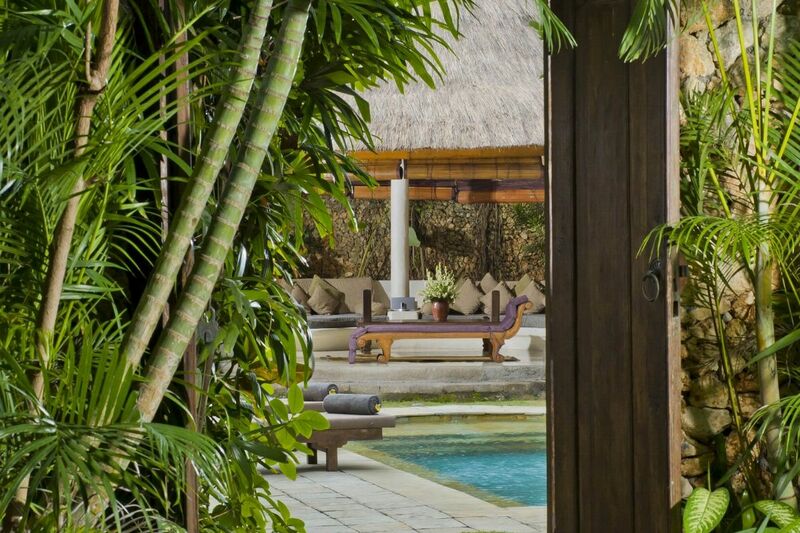 The ultimate romantic retreat, the cosy one-bedroom villas are set within a private garden featuring a pool – the perfect setting for lazy days and magical nights. 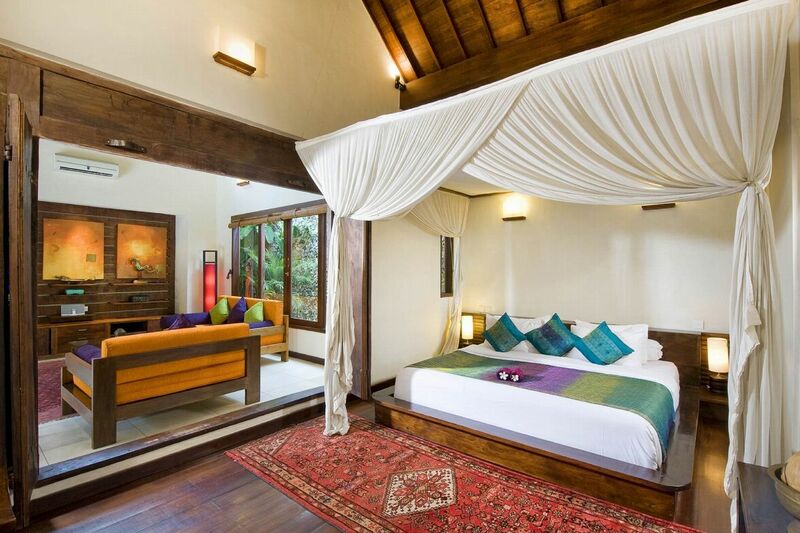 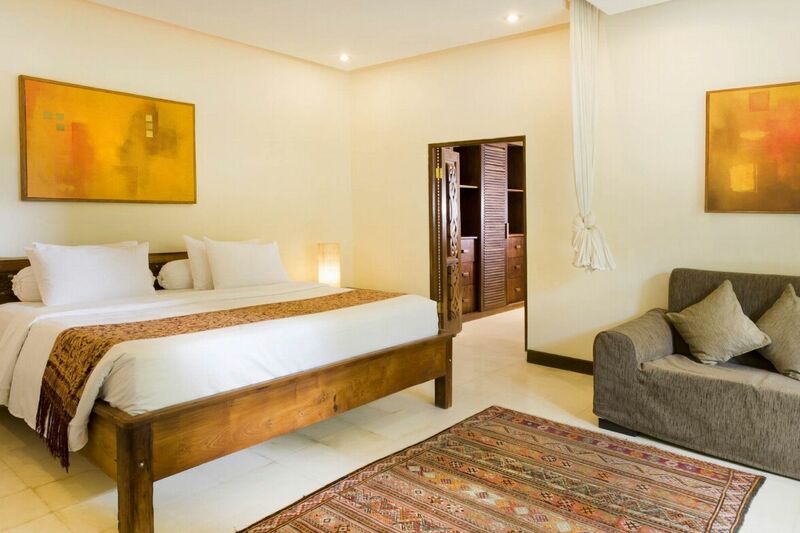 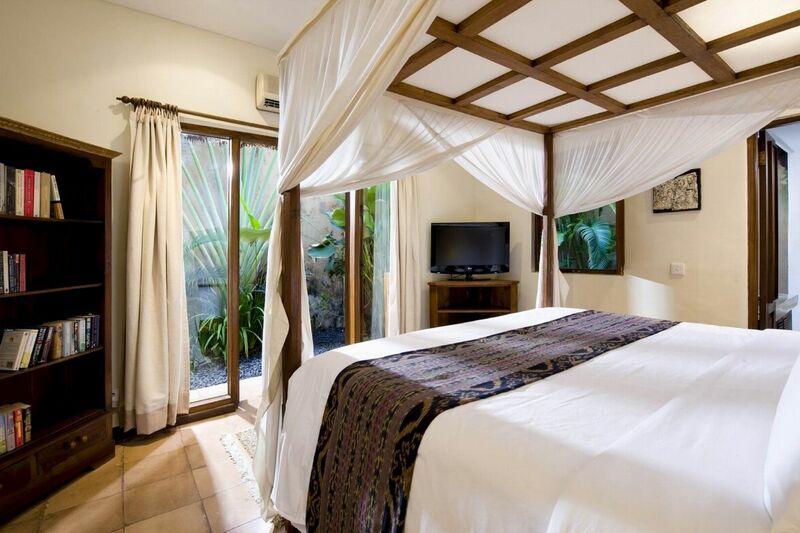 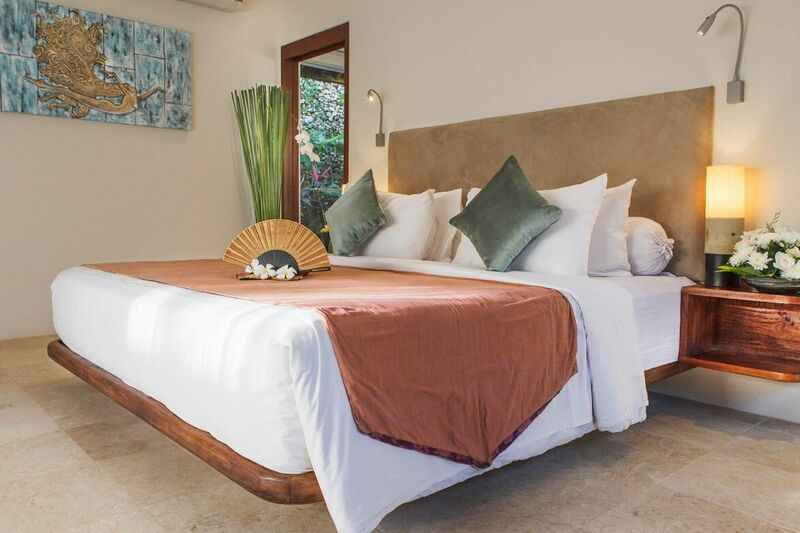 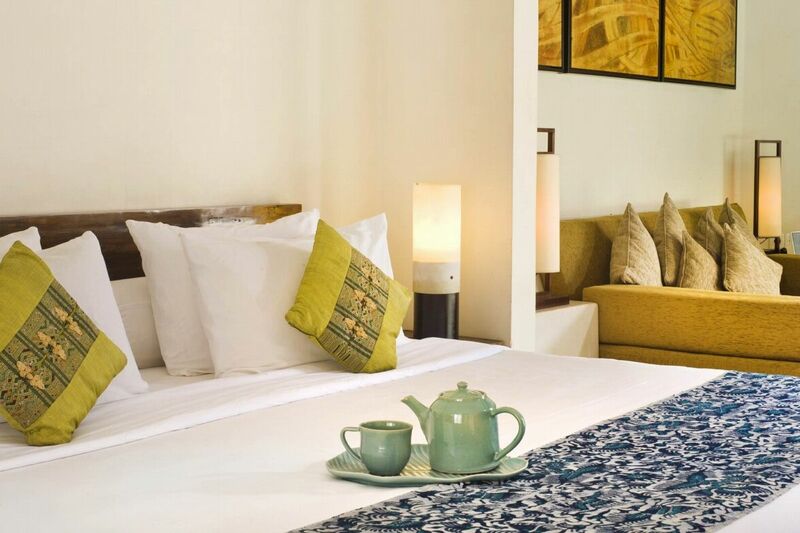 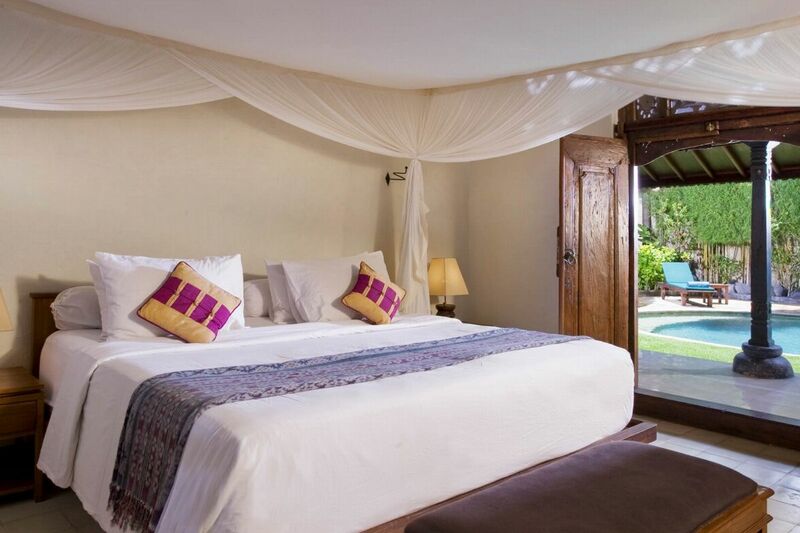 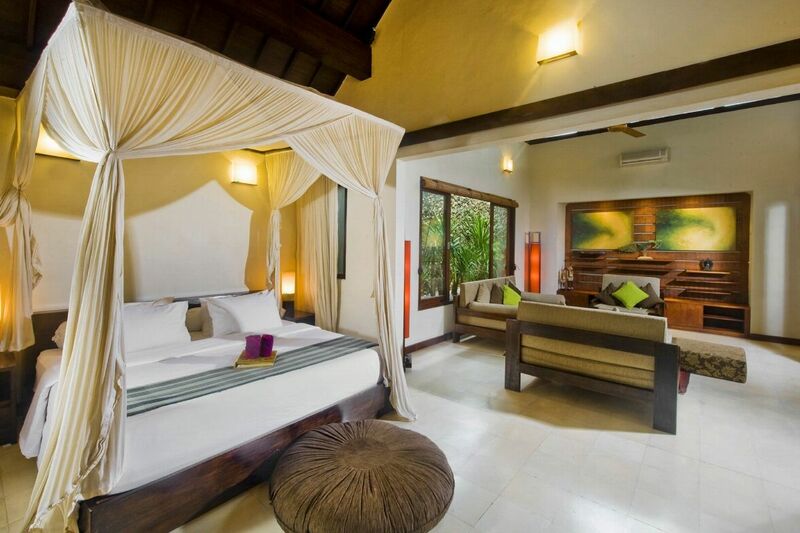 The two-bedroom villas cater for up to four guests with a pair of suite bedrooms each with heavenly king-size beds, luxurious feather pillows and mosquito nets. 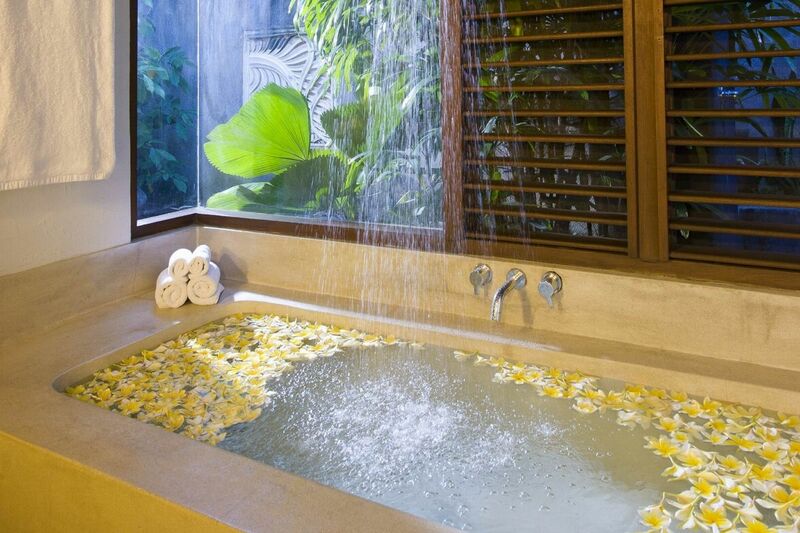 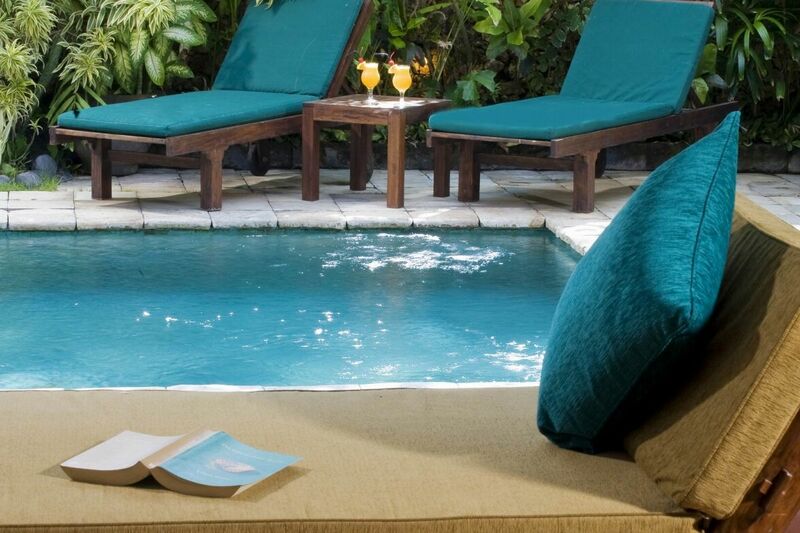 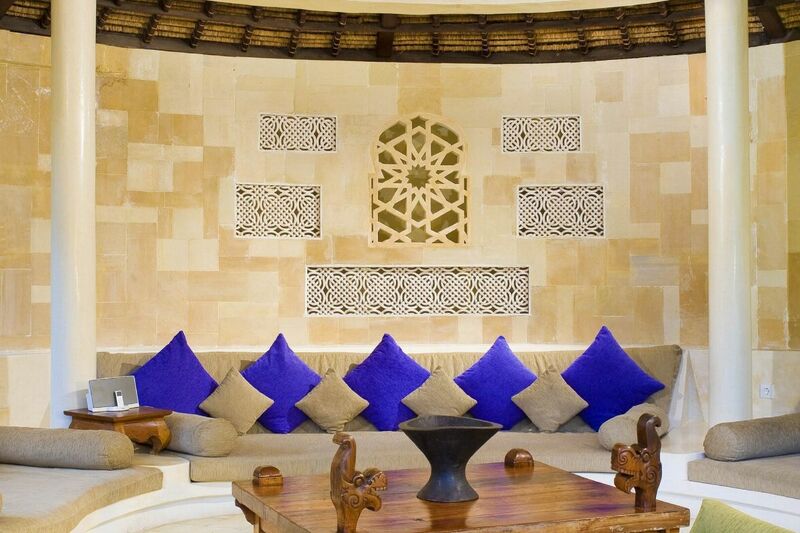 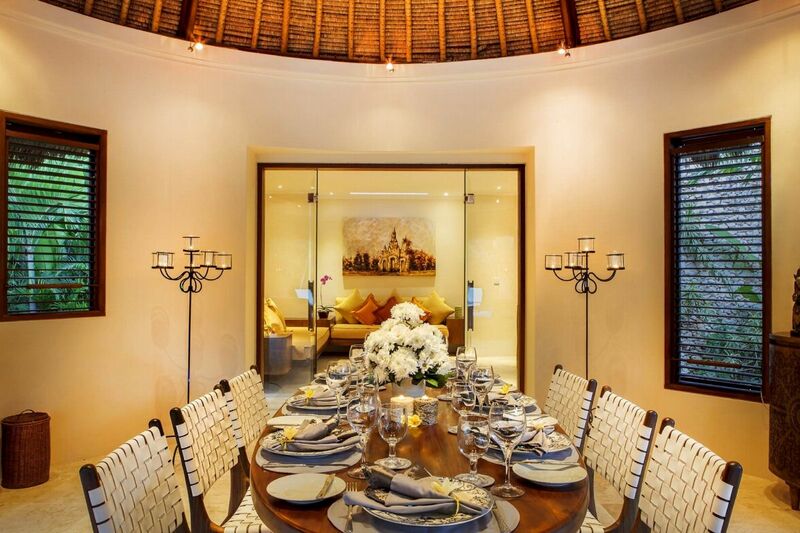 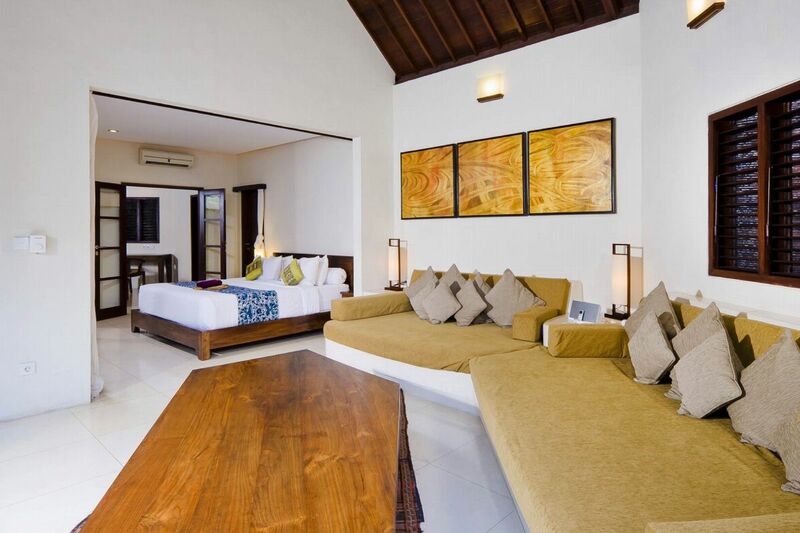 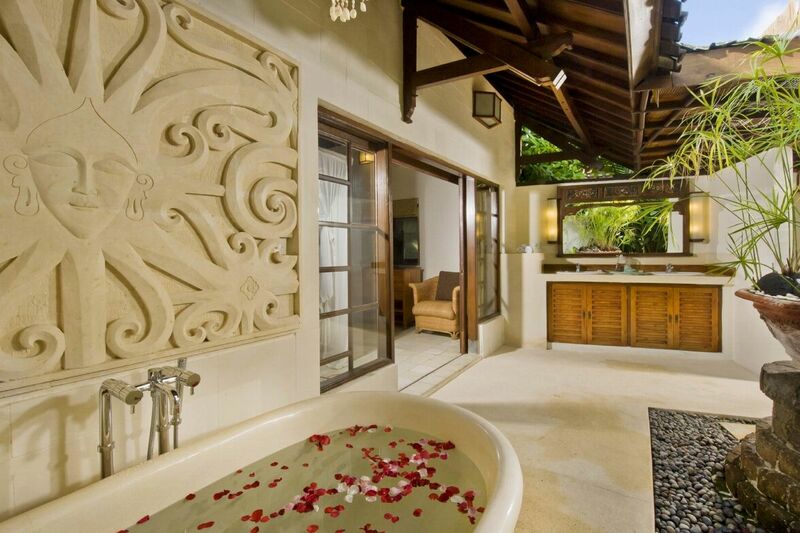 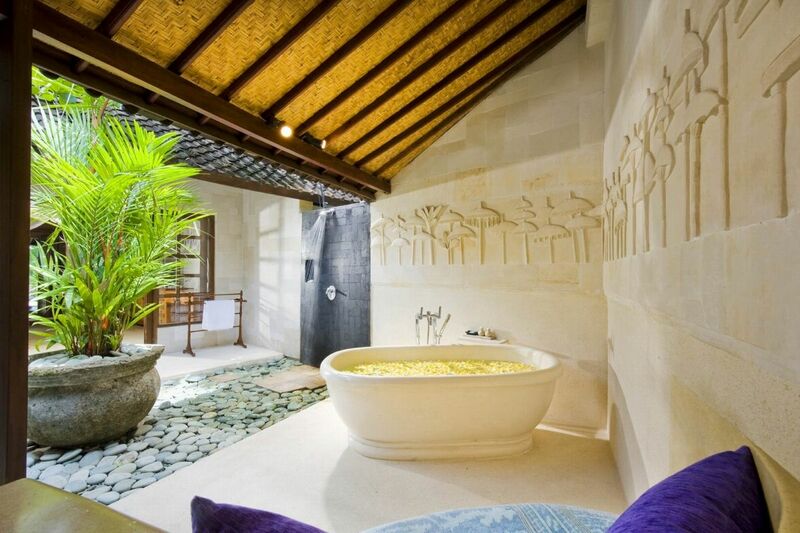 For larger groups of up to six adults or families try the palatial three-bedroom villas. 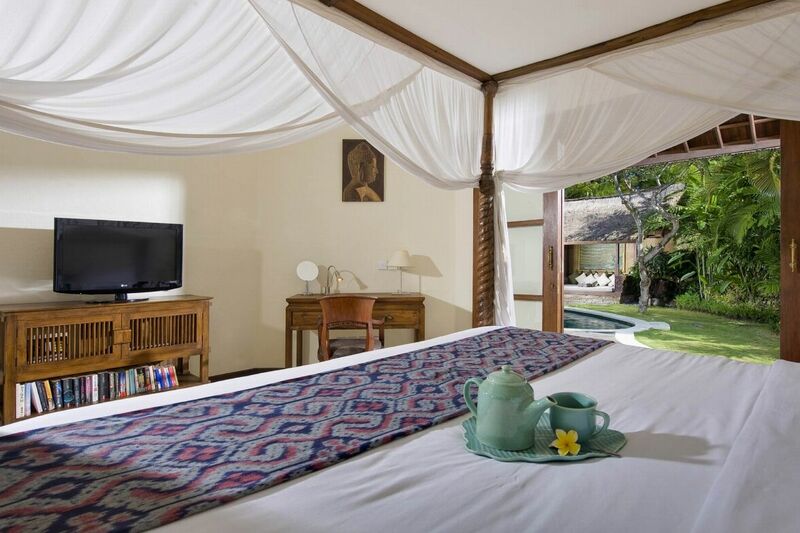 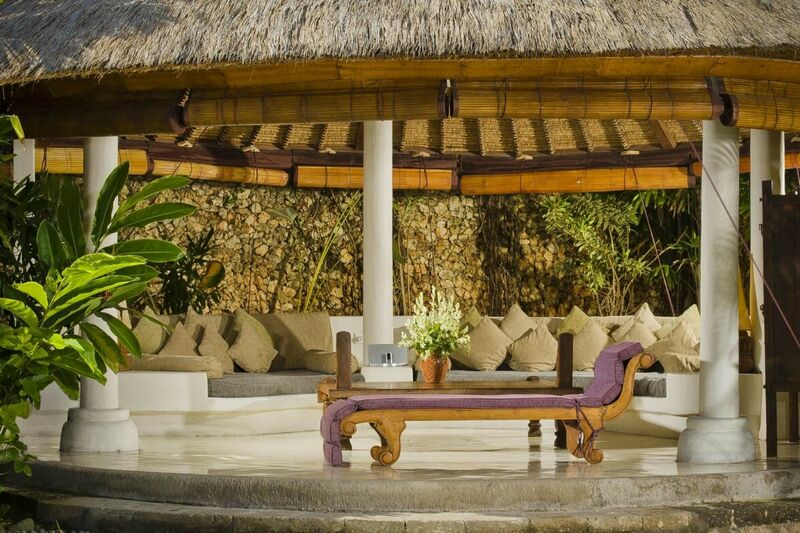 Every villa has its own large swimming pool surrounded by spacious areas for lounging that include thatched roof bales, (outdoor gazebos), that are picture perfect and can be used as an outdoor dining pavilion, a lounge area for relaxing and reading or a super spot for a massage for two. 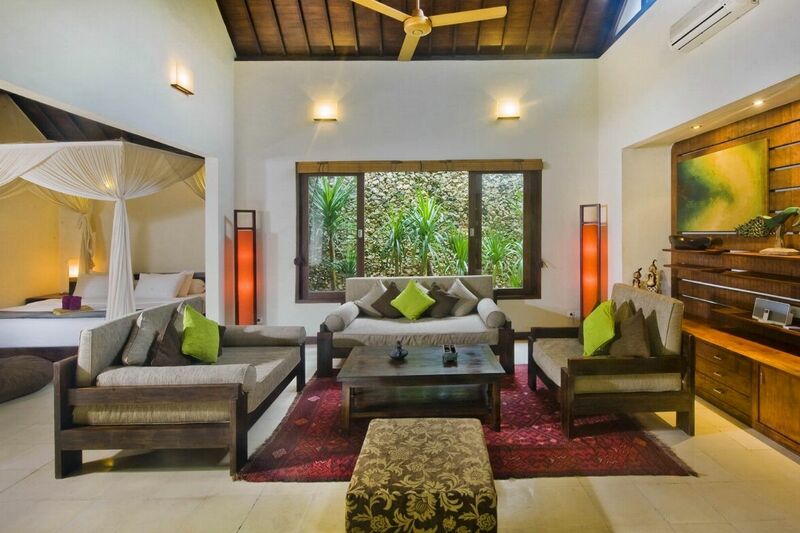 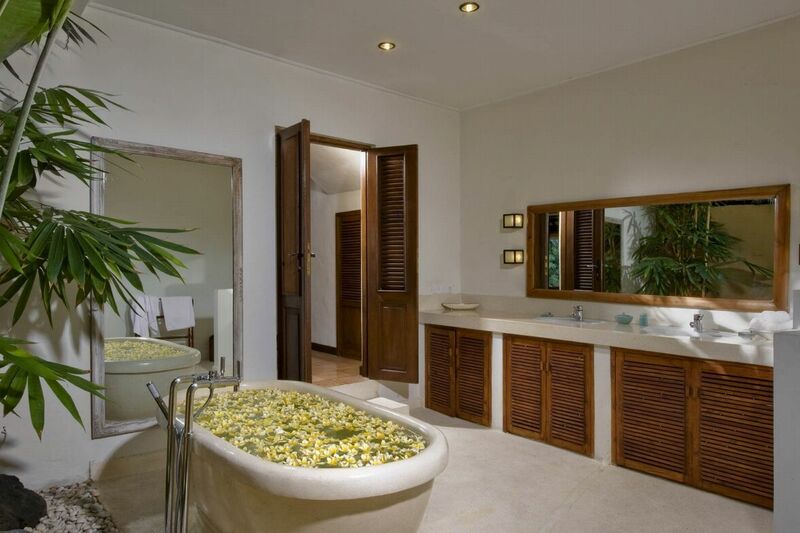 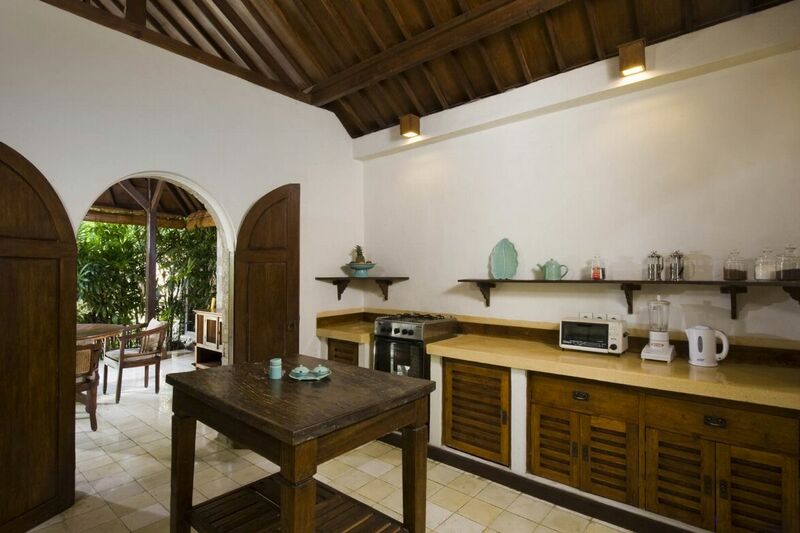 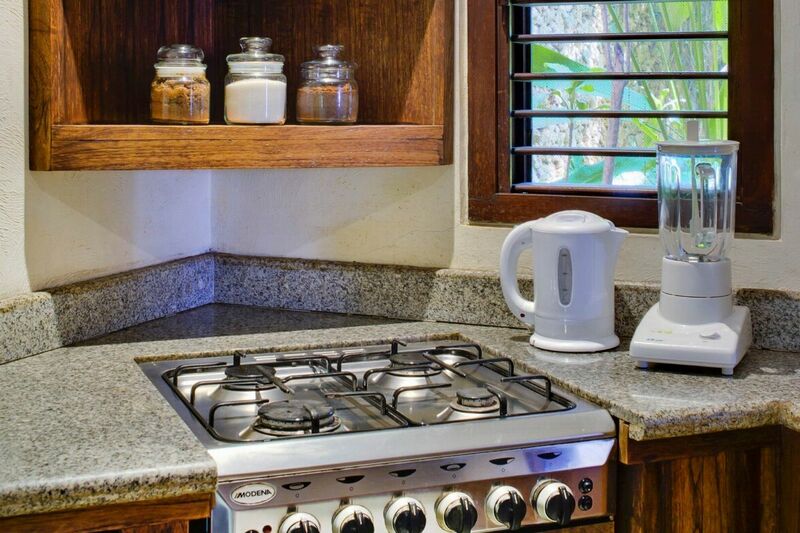 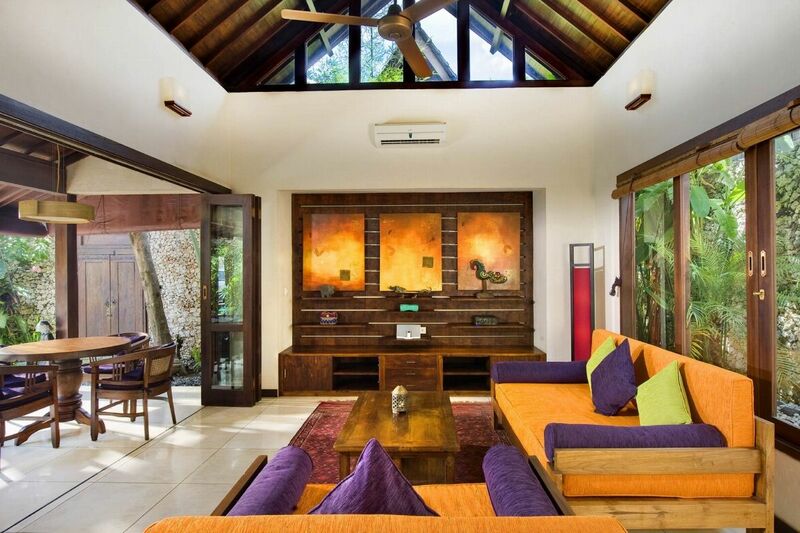 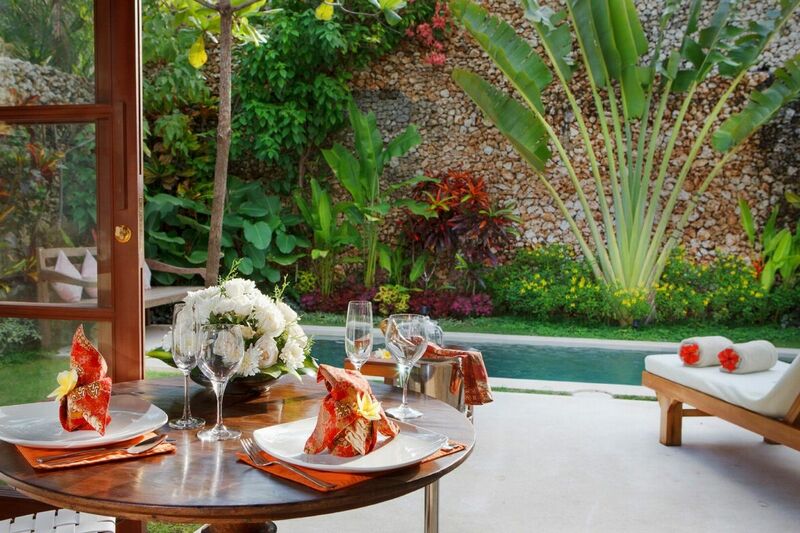 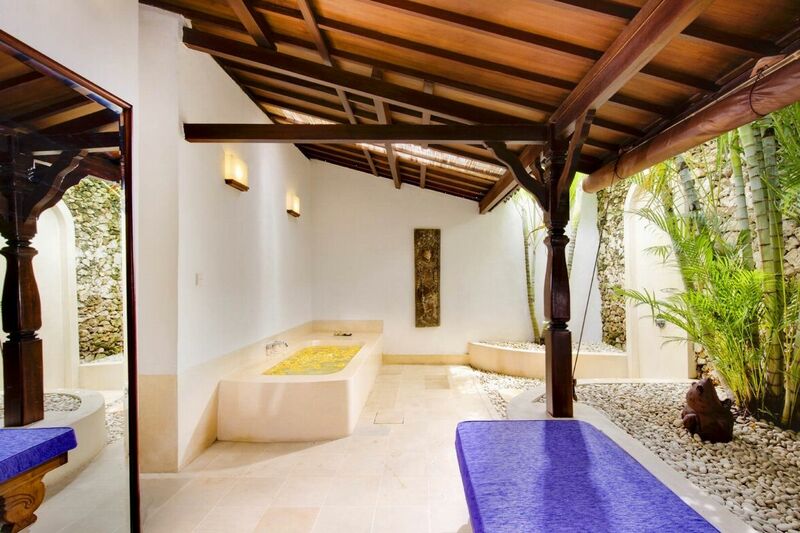 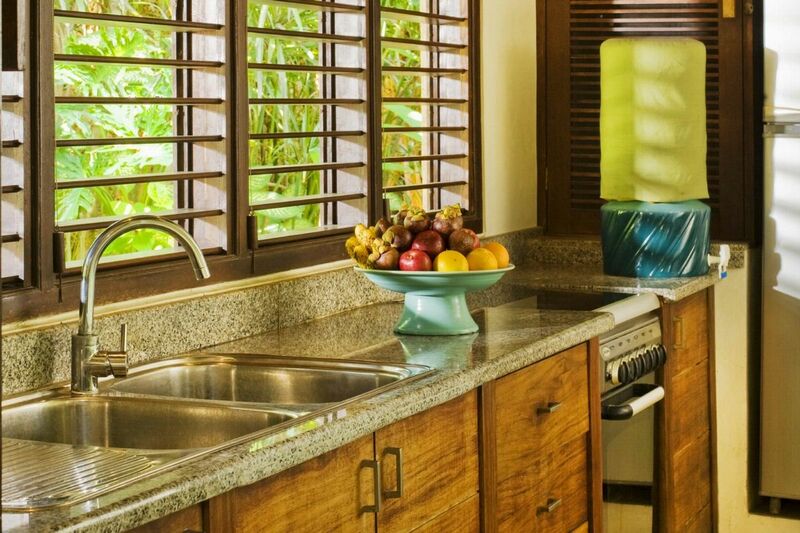 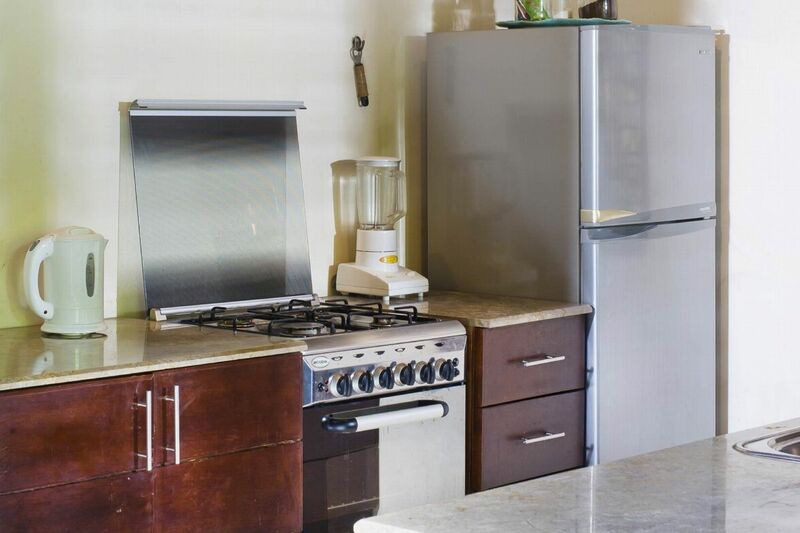 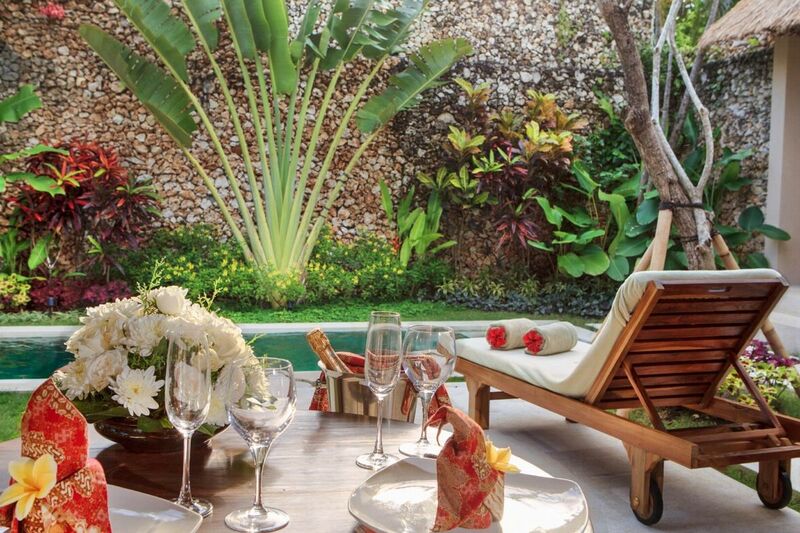 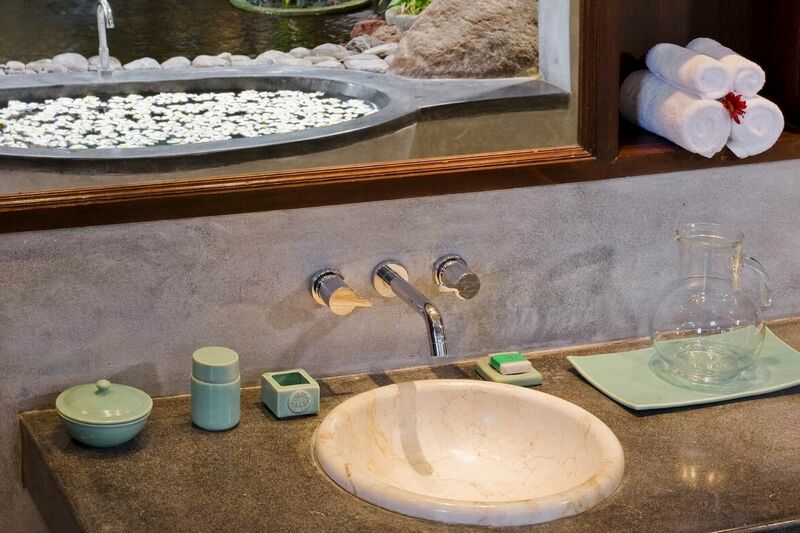 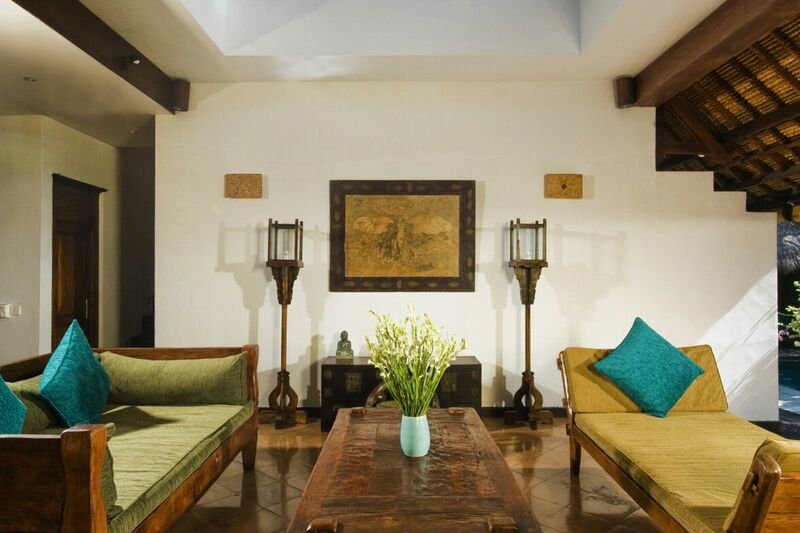 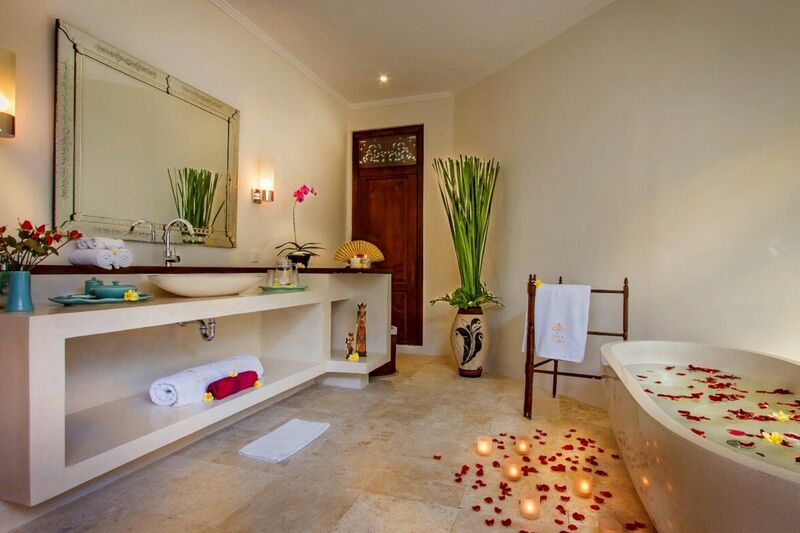 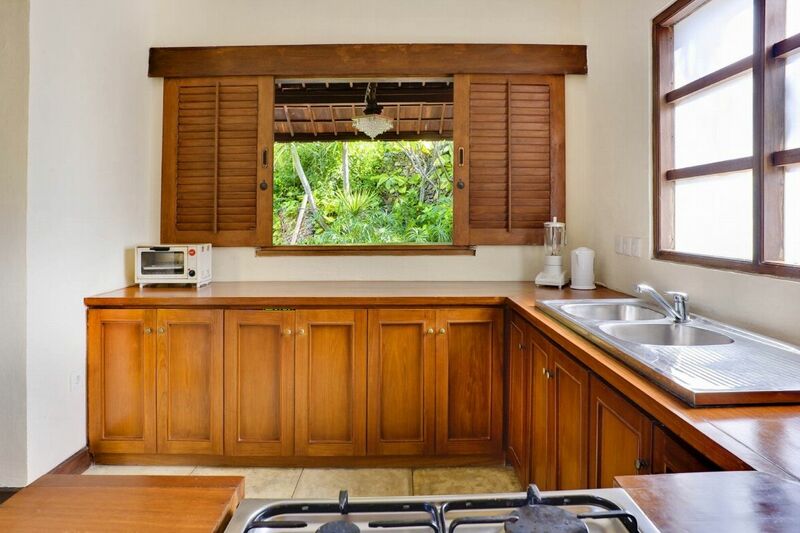 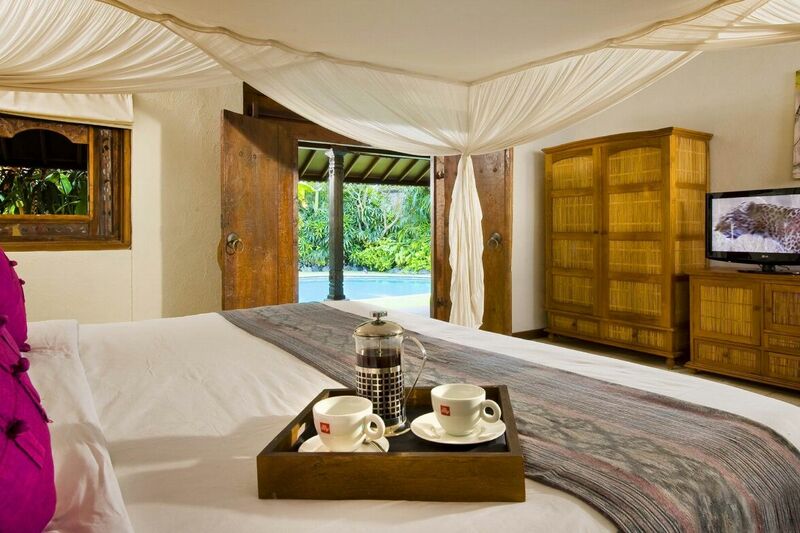 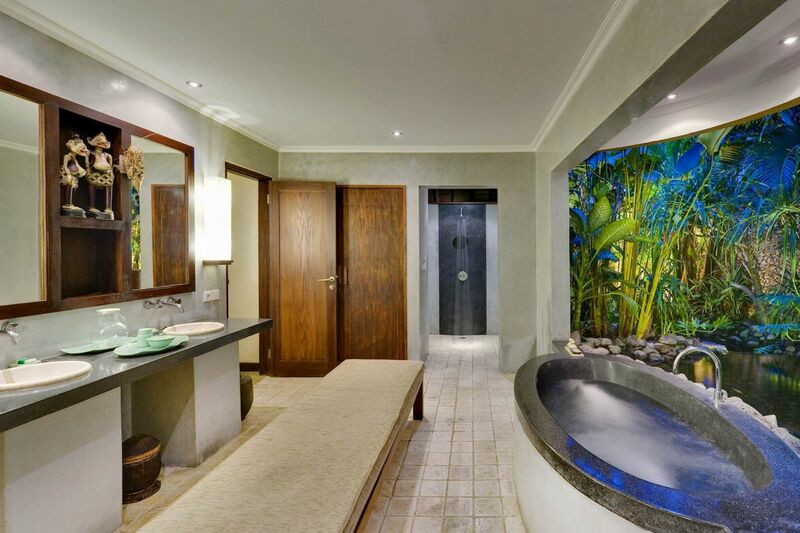 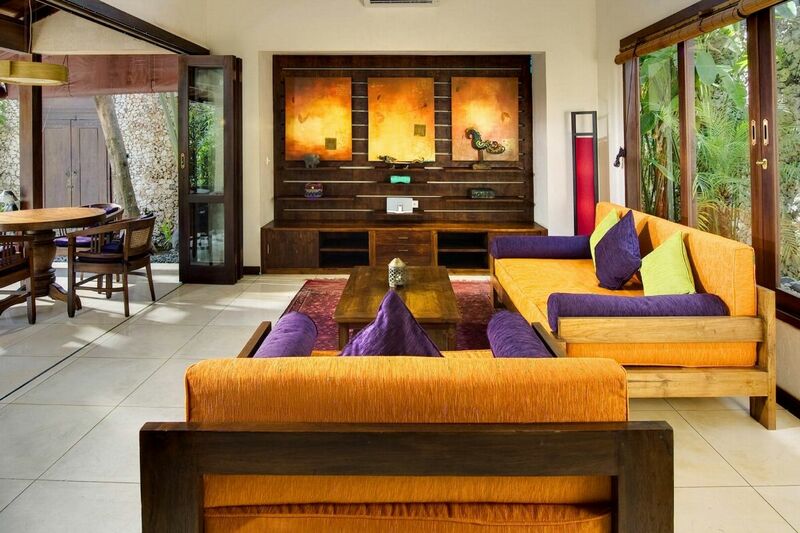 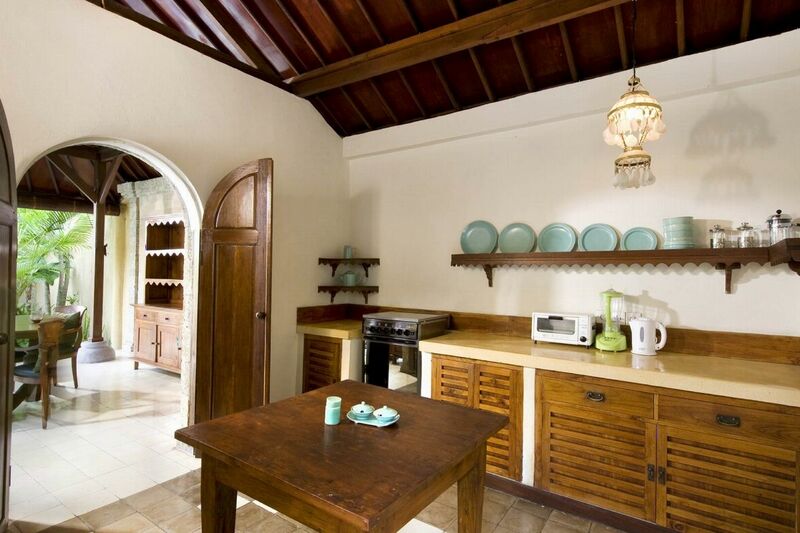 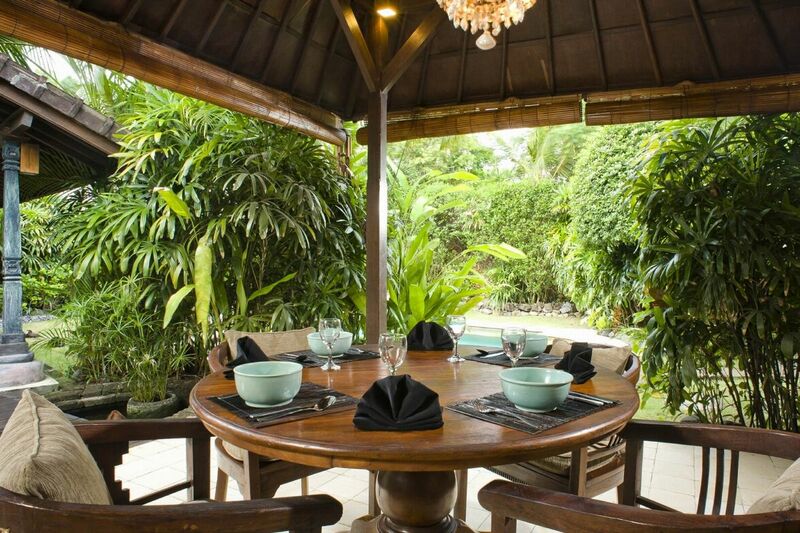 Each villa has a fully equipped kitchen that is stocked prior to your arrival with snacks and refreshments. 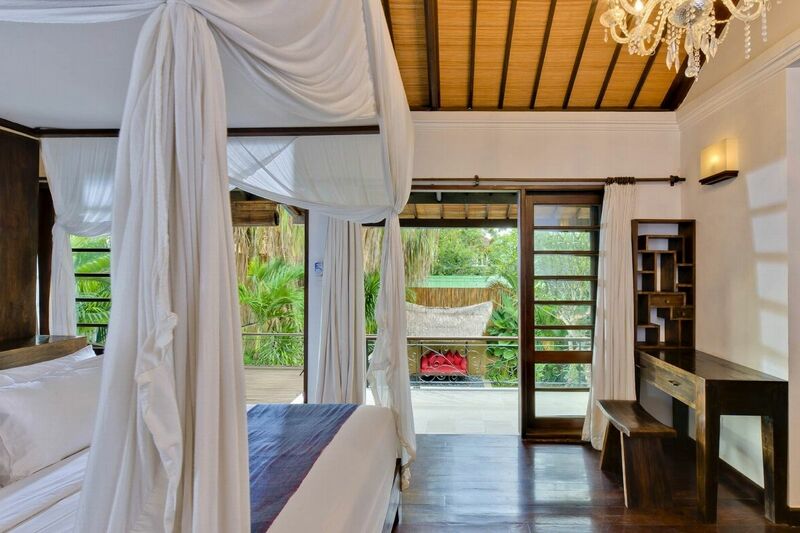 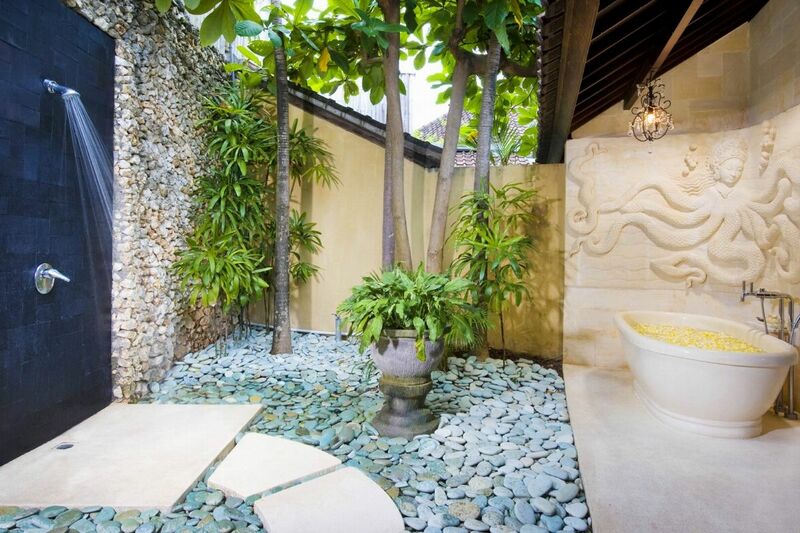 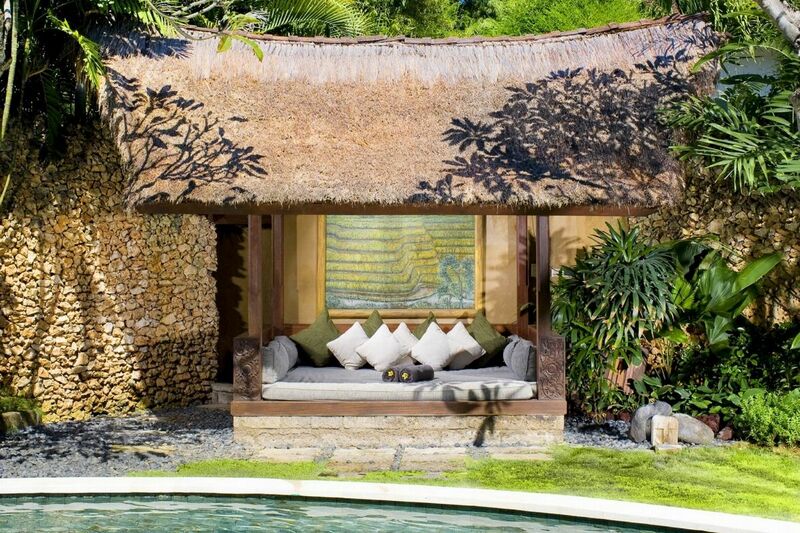 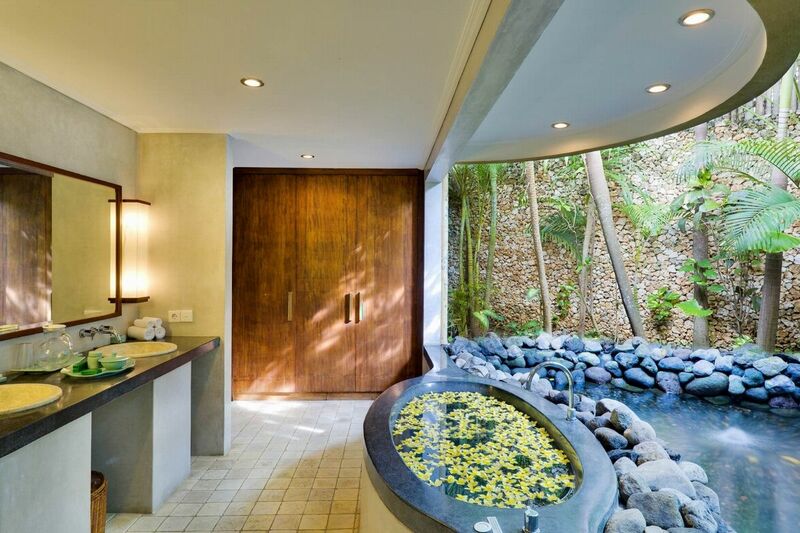 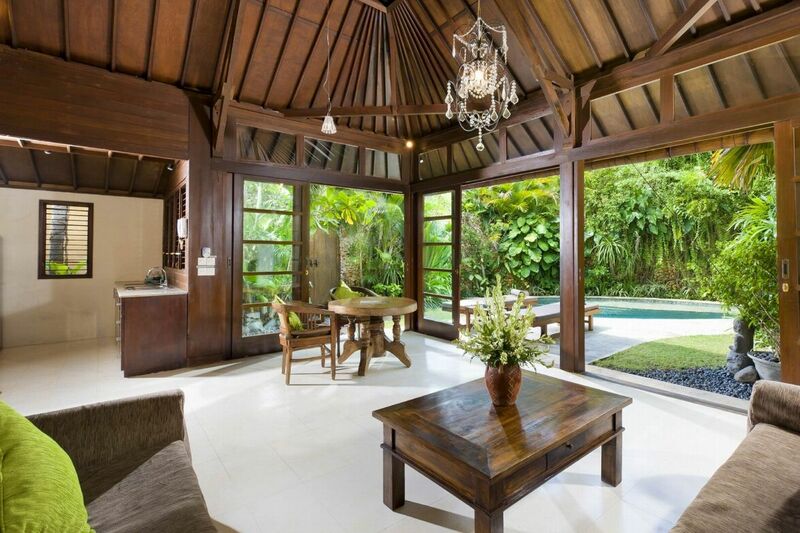 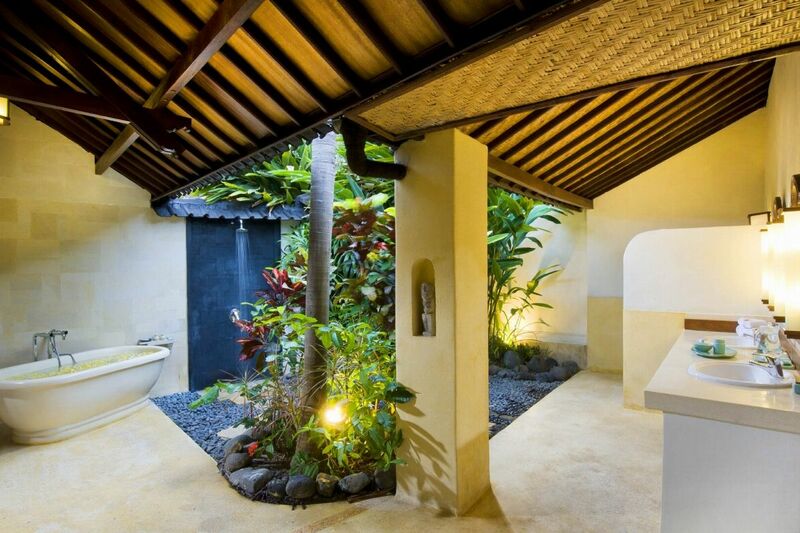 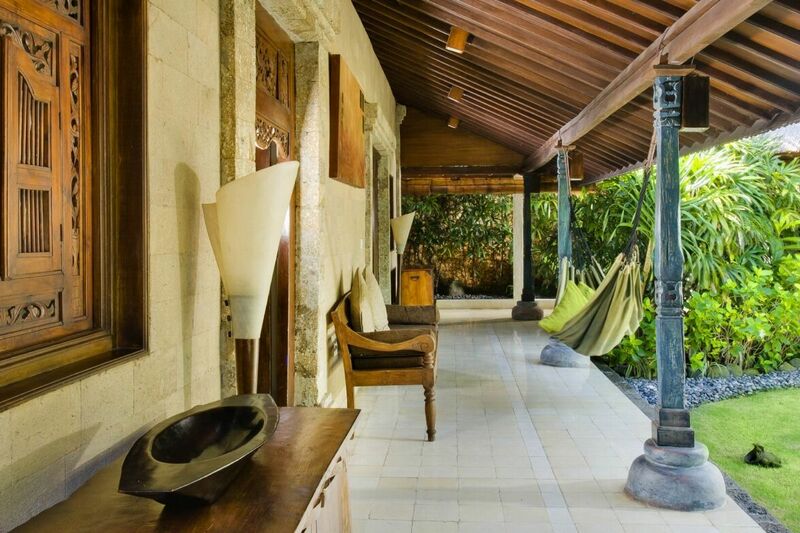 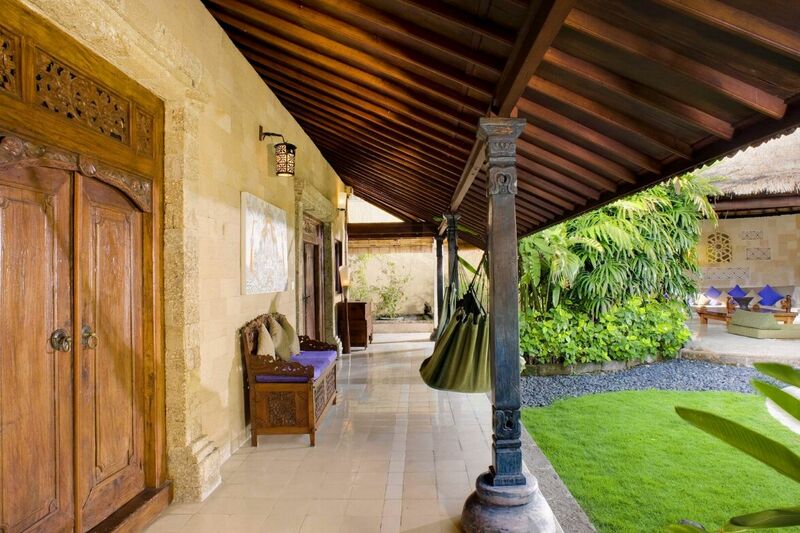 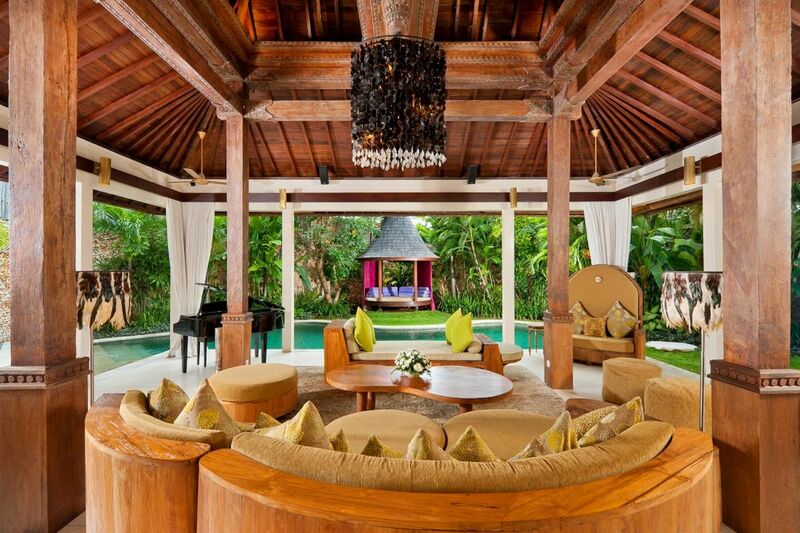 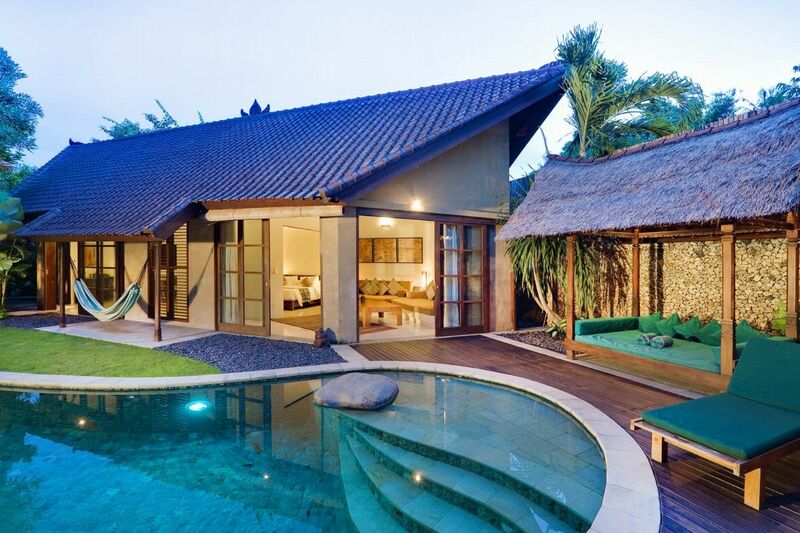 Villa Kuba has proudly accepted the Gold Tri Hita Karana award for honoring the Balinese design concepts of creating harmony between man, nature and the heavens by using natural local building materials.